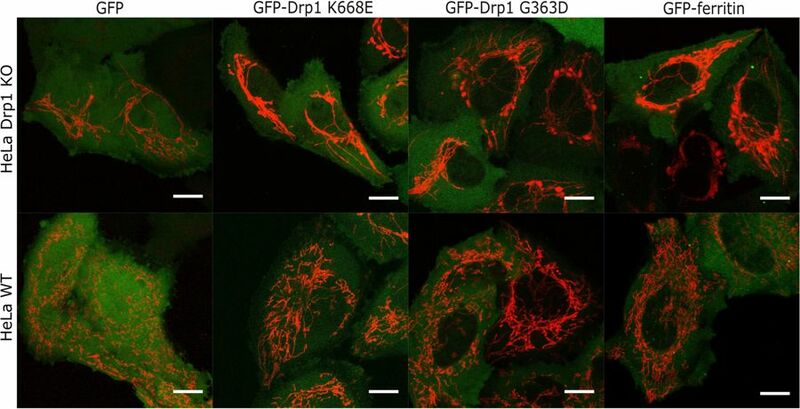 Congratulations to Karina Kwapiszewska (leading author) and all coauthors of a new paper published online on 11th of April in Scientific Reports. The work was done in collaboration with group of Professor Jerzy Duszyński from Nencki Institute of Experimental Biology. We are looking for undergrad students within Sonata Bis project dealing with stability of viruses. We offer 1200 PLN/month scholarship during 2019/2020 academic year. 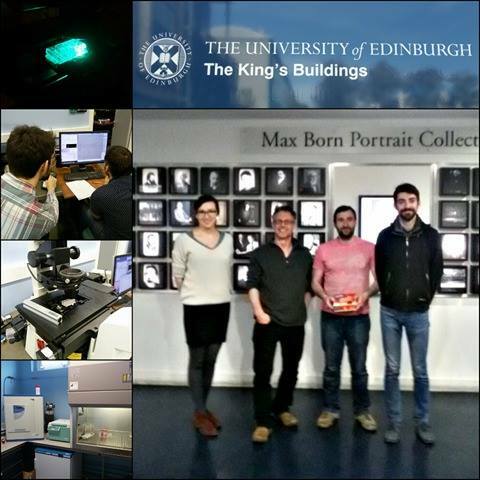 From 23rd to 27th of January we hosted Dr David Martínez Martín from ETH Zurich. David gave extraordinary lecture as a part of Dream Chemistry lecture series. He presented his work on measuring a mass of single cell. It was a pleasure and we are looking to meet David in near future! On 23rd of January 2019 Krzysztof Szczepański defended his PhD thesis entitled: "Study of diffusion of fluorescent nanoparticles inside human cell cytoplasm". Congrats! The new paper from our group was published recently in Phys. Chem. Chem. Phys.! "Fluorescence correlation spectroscopy for multiple-site equilibrium binding: a case of doxorubicin–DNA interaction" by Xuzhu Zhang, Andrzej Poniewierski, Krzysztof Sozański, Ying Zhou, Anna Brzozowska-Elliott and Robert Holyst, DOI: 10.1039/C8CP06752J. The Scientific Commitee called upon to accept last year research works of our Institute decided to award poster by K. Makuch, R. Hołyst, T. Kalwarczyk, P. Garstecki and J. F. Brady entitled Diffusion and flow in complex liquids, which was presented during Microsympsium 2018. Congratulations! Two persons from our group were chosen this year for a new cadency of the PhD Students Council – MSc Patrycja Kuźma and MSc Eng. Karolina Paszkowska. 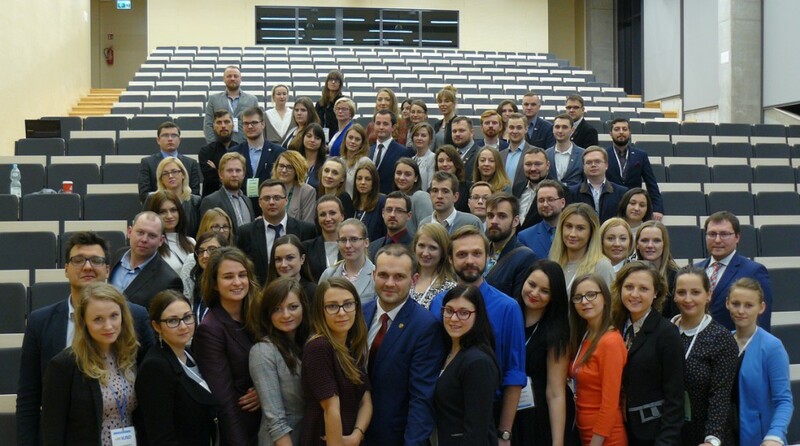 MSc Patrycja Kuźma was elected as a President of the Council. Congratulations! From 26th of November to 9th of December Łukasz visited group of Professor Stone at Princeton. On 6th of December Lukasz gave talk describing phage project! 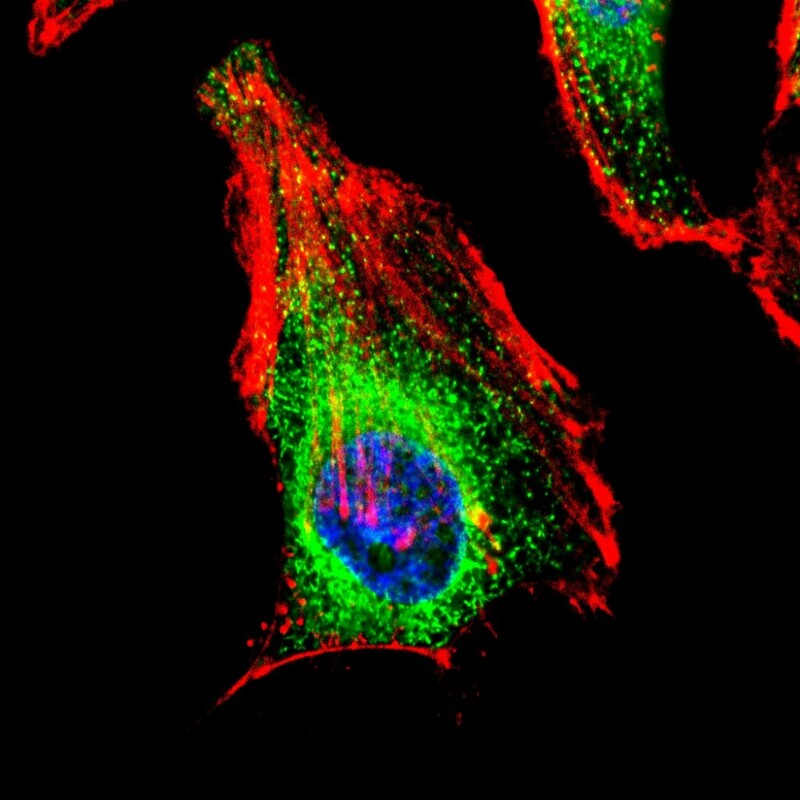 We offer a full-time PhD Student position within the project "Method for quantification of internalization of chemical and biological molecules into living cells" - interdisciplinary studies on cellular uptake of fluorescent probes. The goal of the project is development of a novel quantitative and qualitative method for determination of internalization of chemical and biological molecules into human cells. The PhD student will be involved in interdisciplinary activities including: advanced microscopy and spectroscopy, cell culture (2D and 3D), molecular biology, biochemistry, application of microfluidic solutions and data processing. We are looking for motivated candidates who are able to work at the edge of chemistry, biology and physics. The project is led by Dr. Karina Kwapiszewska. Three papers authored by members of our group were among seven papers chosen as best works published in IPC PAS in 2017. On 7th of November Karolina Księżarczyk and Karolina Paszkowska officialy started their PhD studies at the Institute of Physical Chemistry PAS. The ceremony was held on 2 PM in the main hall. Visit YouTube to see oath. 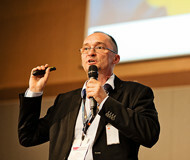 During the inauguration event Krzysztof Sozański, PhD, gave plenary talk entitled Fluorescence at your service. New PhD students warmly appreciated this interesting talk. MSc Eng. Agnieszka Wiśniewska, Msc Eng. Lukasz Richter, Xuzhu Zhang, PhD, Konrad Giżyński, PhD and Jan Paczesny, PhD were awarded within "Young Scientists of IPC PAS" competition in 2018. Laureates are chosen among PhD students and Postdocs under 35 years old based on impact factor of journals in which they published within last 3 years. Jan Paczesny, PhD was elected to become representative of asistants and adjuncts in Scientific Council of the Institute of Physical Chemistry PAS. Yet another paper appeared from our group. 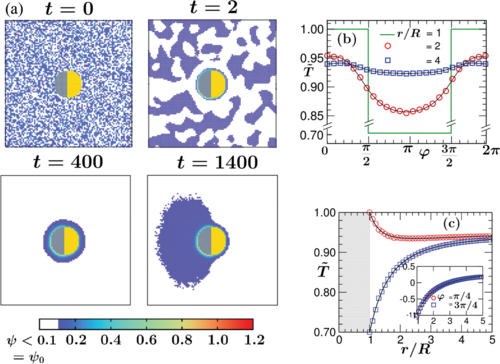 Anna Maciołek together with Sutapa Roy (Max-Planck-Institut für Intelligente Systeme and Universität Stuttgart) coauthored publication entitled: "Phase separation around a heated colloid in bulk and under confinement", which was accepted for publication in Soft Matter. Robert Holyst was invited to give a talk at the students conference YoungChem 2018 http://www.youngchem.com/ entitled "Excellence in research". Robert Holyst gave an invited talk "Storage and flux of energy in non-equilibrium stationary states"(http://th.if.uj.edu.pl/indico/event/6/contribution/41) at the 31st Smoluchowski Symposium on Statistical Physics. He presented new methodology for analysis of systems far from equilibrium and provided a variational principle for these states. He showed that for fixed flux of energy flowing through the system, the non-equilibrium state minimizes the energy stored in the system in excess over its equilibrium value. The principle works for Rayleigh-Benard convective cell. 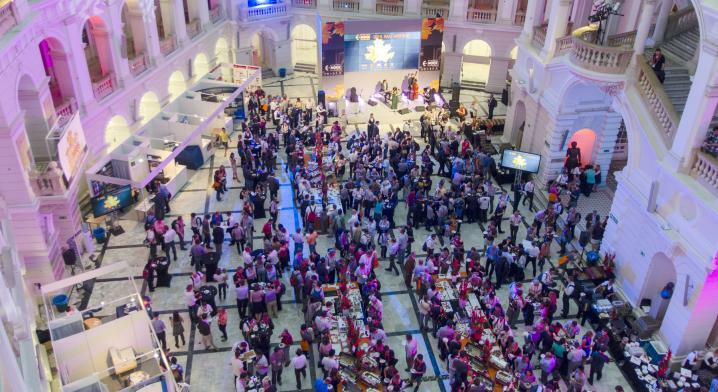 Jan Paczesny, PhD, attended one of the biggest conference on materials science. 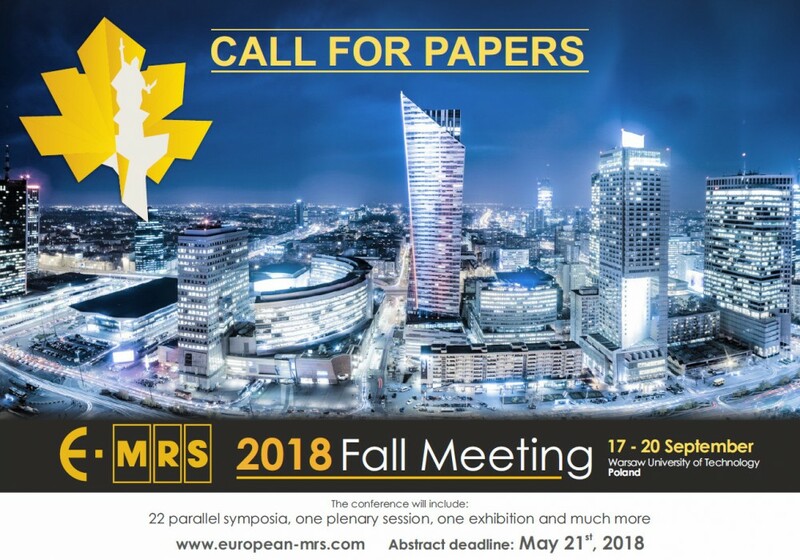 European Materials Research Society 2018 Fall meeting was held in Warsaw from 17th to 20th of September. Janek presented poster related to work on bacteriophages. Konrad Giżyński, PhD, joined the group. He is post-doc within Sonata Bis grant. 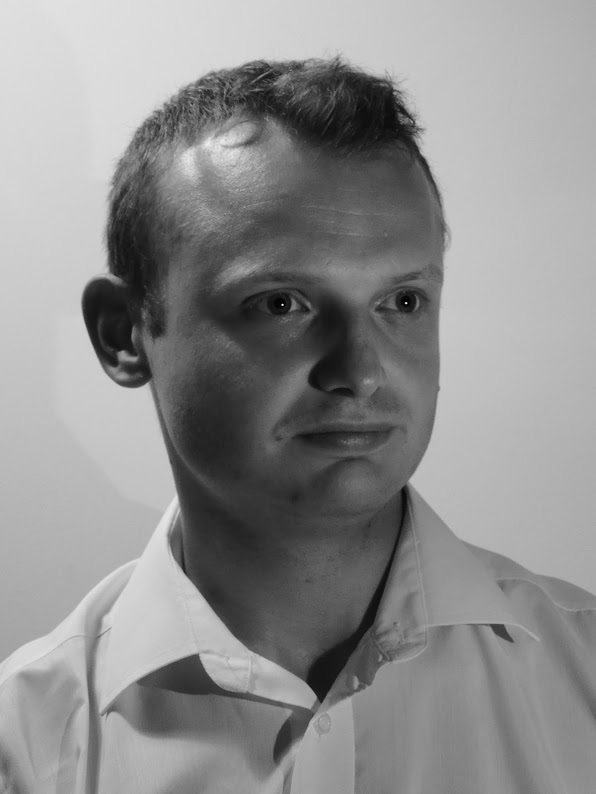 Konrad previously worked with Professor Górecki at IPC PAS and with Professor Grzybowski at UNIST/IBS in South Korea. Our labs are all full of students doing summer internships. We even arrange couches in the labs for them to be comfortable! 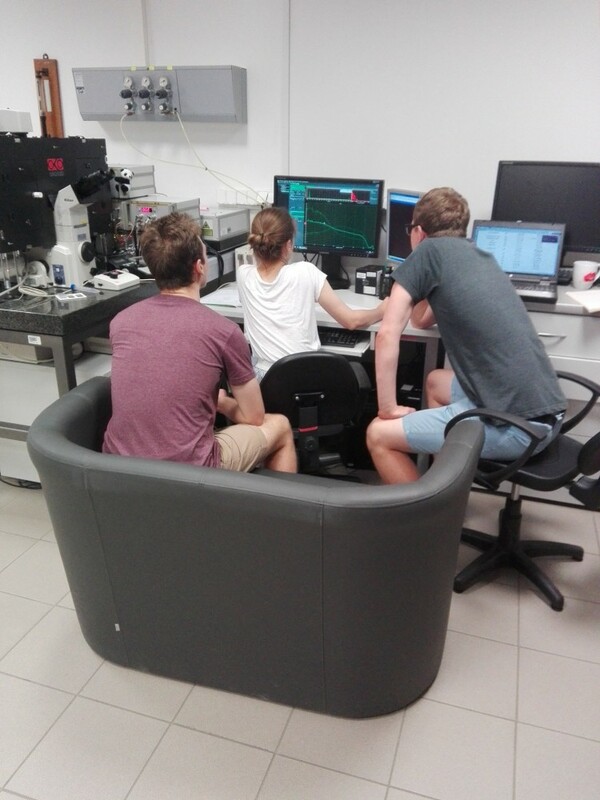 Here, Kamila Kurzajak and Adam Kowalski are doing FCS measurements under supervision of Grzegorz Bubak, PhD. If you study chemistry, physic, biology or biotechnology and would like to work in our labs on real scientific problems don`t hesitate and send application. Our college DSc Anna Maciołek together with Professor Siegfried Dietrich from Max-Planck-Institut für Intelligente Systeme and Universität Stuttgart, published an article in Reviews of Modern Physics (Impact Factor = 36.367)! Congratulations! 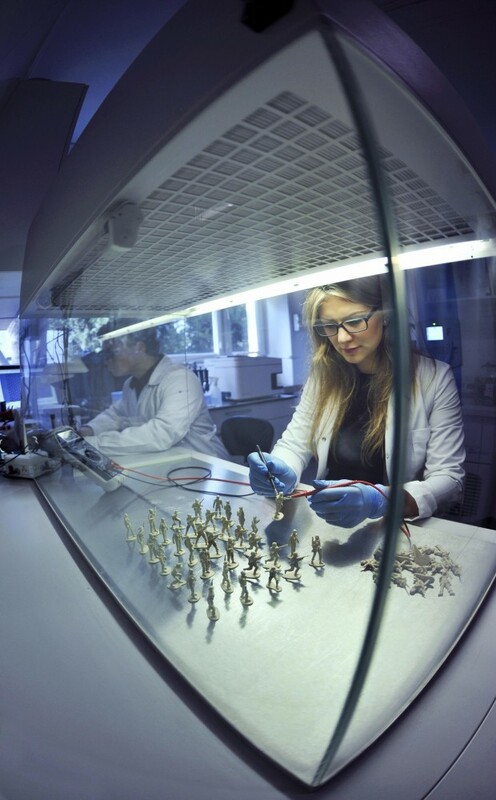 Dr Karina Kwapiszewska was awarded with "Lider" grant form The National Centre for Research and Development for her project on "Method for quantification of internalization of chemical and biological molecules into living cells". Congrats! New PhD position will be opened within the project form April 2019. 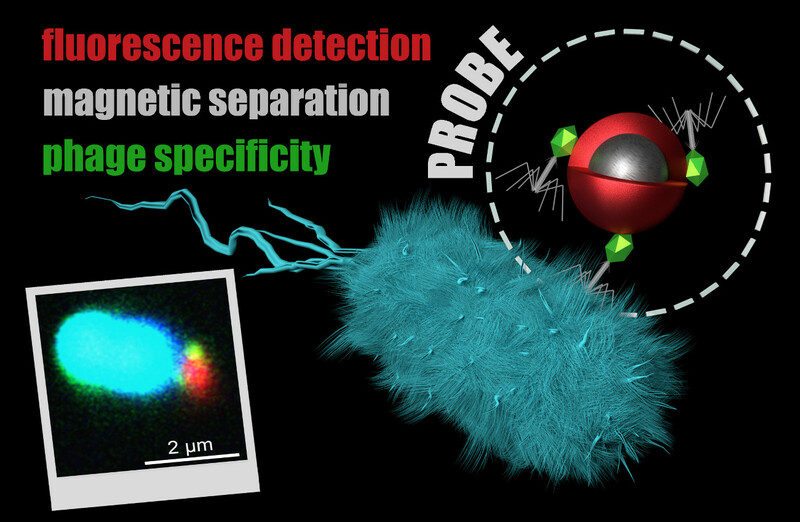 SERSitive: New substrates make it possible to routinely detect one molecule in a million. The wide use of SERS has so far been radically limited due to the poor quality of the substrates on which the test solution had to be applied in order to obtain adequate signal enhancement. At the Institute of Physical Chemistry of the Polish Academy of Sciences (IPC PAS) in Warsaw, prototype substrates meeting all the requirements necessary to transform SERS into a routine, common laboratory technique were presented as far back as several years ago. Now, after further improvements and tests, new substrates, with ISO standards, are becoming available to all interested parties thanks to the SERSitive initiative (www.sersitive.eu) operating within the IPC PAS and Soft Condensed Matter group. The person in charge is Monika Księżopolska-Gocalska. MSc. Karolina Księżarczyk and MSc. Eng. Karolina Paszkowska. They will work within Sonata Bis grant (leader Jan Paczesny) on modulation of stabilitty of virions. Airit organized kayaking for the whole group! We were kayaking on Swider river. New members joined our crew! We are very happy to welcome new undergraduate students: Aleksandra Borkenhagen, Jacek Kędzierski, who will do the research for their master theses, Kamila Kurzajak, Adrian Walkowiak and Adam Kowalski, who are doing summer internships in the group. Our lab was visited for one month by Dr Debabrata Deb from India, who together with Robert Holyst worked on the modified Fermi-Ulam-Pasta model. 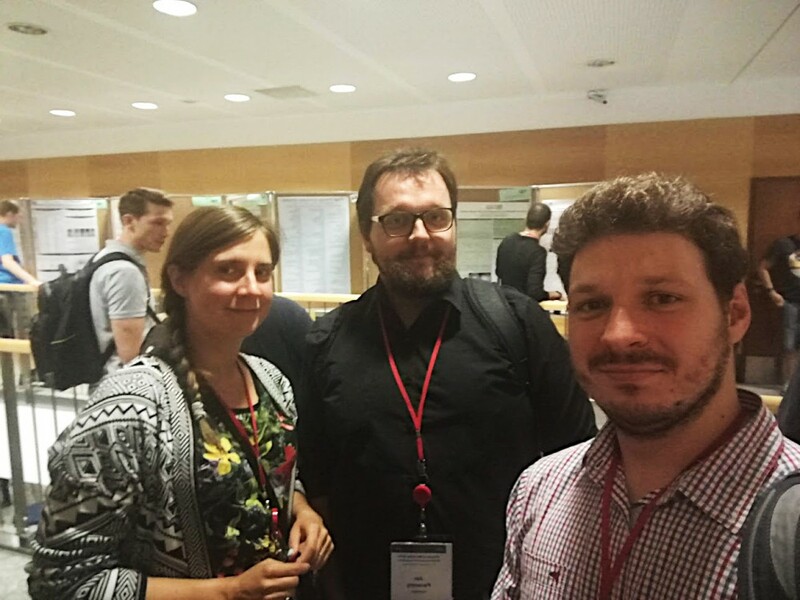 Łukasz Richter and Jan Paczesny together with Marta Janczuk-Richter (Surface Nanoengineering group) attended Viruses of Microbes conference in Wroclaw, Poland (9th to 13th of July 2018). Łukasz gave talk in front of 500 people audience! Janek and Marta presented posters. Łukasz Richter attended the conference in Miami, USA. 28th Anniversary World Congress on Biosensors started on 12th of June and will finish on 15th of June. Łukasz presented results on phage-based biosensors. New paper on fission mechanism was published in collaboration with Laboratory of Bioenergetics and Biomembranes, Department of Biochemistry, Nencki Institute of Experimental Biology, Polish Academy of Sciences. It was published in Scientific Reports! Xuzhu Zhang defended his PhD thesis entitled "Determination of the intermolecular interactions in solutions from the motion of single molecules". His thesis was reviewed by prof. dr hab. Adam Patkowski (UAM) and prof. dr hab. Józef Moscicki (UJ). Congrats! Łukasz Richter received PRELUDIUM grant (70 000 PLN) from National Science Centre! The title of the project is: "Development of fast and efficient deposition of analyte in the electric field for improvement of sensing and biosensing". Contratulations! New member joined our crew! 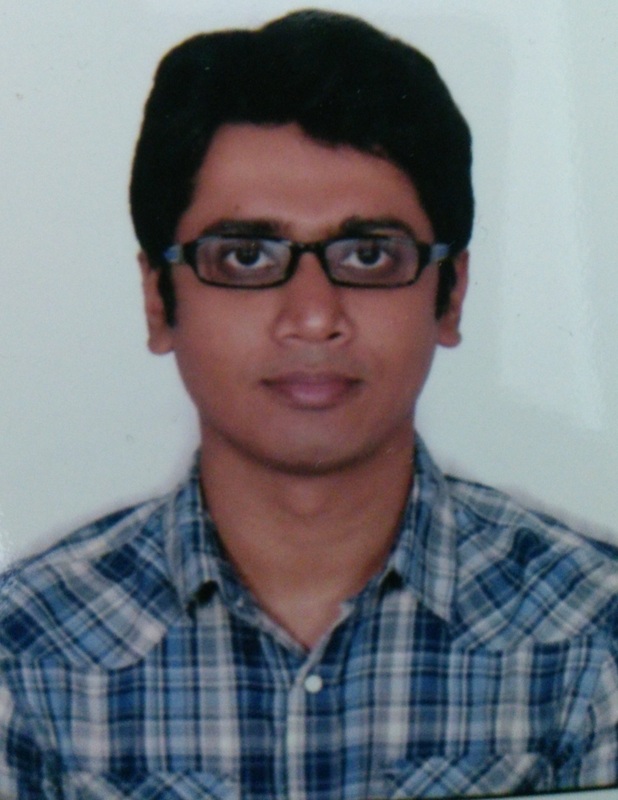 We are very happy to welcome our new Post-doc – Nirmal Das. 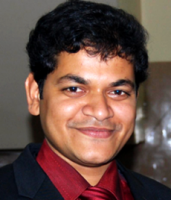 He defended his PhD in IISER Bhopal, India under the supervision of Professor Saptarshi Mukherjee in November 2017. His research interests include spectroscopic investigations of the organized assemblies, synthesis and spectroscopic applications of luminescent metal nanoclusters. Robert Holyst delivered a talk entitled " Metabolism at the nanoscale in cells." 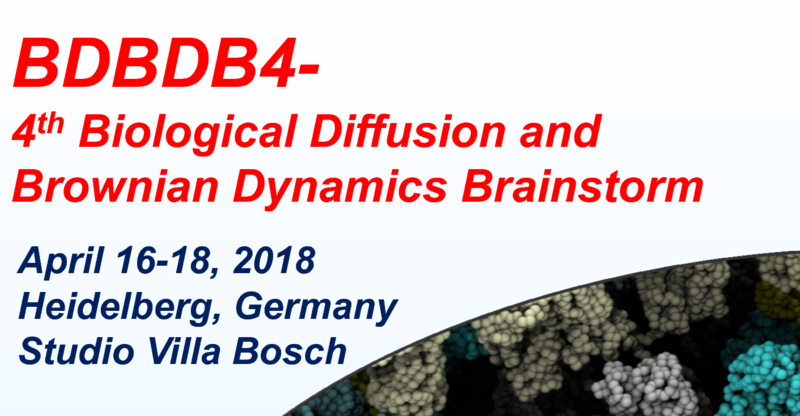 at the Fourth Biological Diffusion and Brownian Dynamics Brainstorm Meeting April 16-18, 2018. Biological Diffusion and Brownian Dynamics Brainstorm 4 (BDBDB4) will, like the previous meetings (BDBDB 1-3), provide a forum for intensive discussions about the current state of experimental and theoretical studies of biological diffusion, with a focus on the Brownian Dynamics method for simulating biological macromolecules. The first BDBDB meeting was held in 2007 and they have taken place at irregular intervals since then. DSc Anna Maciołek published paper summarizing work within Harmonia grant, which she was a leader of. Thanks to courtesy of Prof. Adam Patkowski and Prof. Jacek Gapiński we had short visit in Adam Mickiewicz University in Poznań. Krzysztof Sozański and Łukasz Richter had opportunity to work with single particle tracking on Nanosight. Additionally, Łukasz Richter gave talk entitled: “Bacteriophages as tool against bacteria”. Jan Paczesny gave plenary lecture during meeting of Scientific Association of Chemist of Adam Mickiewicz University in Jeziory on 24th of March 2018. The talk was on work done in IPC PAS within last 5 years by Jan Paczesny and coworkers. Jan Paczesny came back from his post doc experience and again works as adjunct assistant professor in the Institute of Physical Chemistry PAS. ​ He obtained grant from National Science Centre within SONATA BIS program and will start forming new team for phage-related work. You are welcome to apply for MSc, PhD or post doc positions. 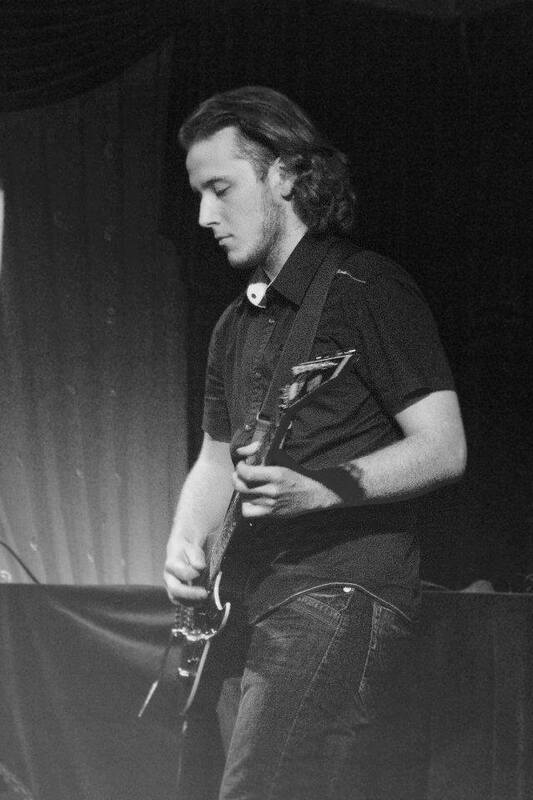 Łukasz Richter was on two-month internship in group of Prof. Francesco Stellacci in École Polytechnique Fédérale de Lausanne (EPFL, Lausanne, Switzerland). He worked on nanoparticles that are virustatic or virucidal against bacteriophages. It is our pleasure to inform about our recent publication entitled "Nanoscopic Approach to Quantification of Equilibrium and Rate Constants of Complex Formation at Single-Molecule Level" from Xuzhu Zhang, Evangelos Sisamakis, Krzysztof Sozański, Robert Hołyst in the Journal of Physical Chemistry Letters (IF=9.345!). In this paper we provide analytical autocorrelation formulas for probes undergoing diffusion-reaction processes under STED condition. 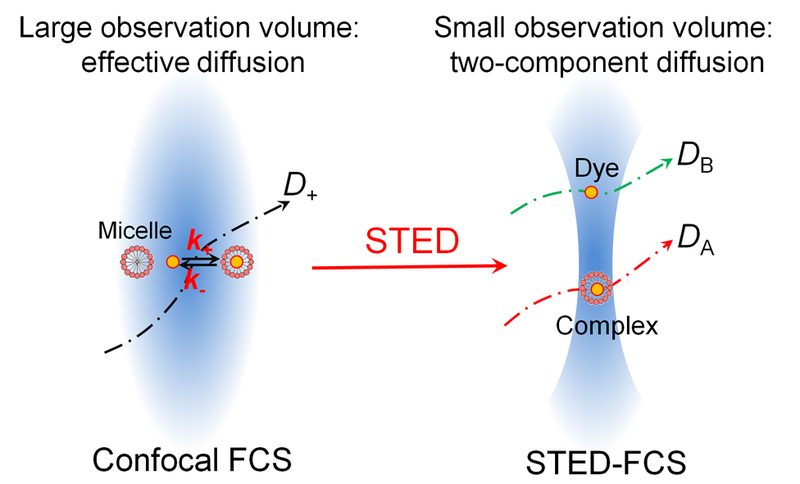 We support the theoretical analysis of experimental STED-FCS data on a model system of dye−micelle, where we retrieve the equilibrium and rates constants. For more details, please find the publication here. We are happy to announce that our first invited review about bacteriophages was accepted for publication in Drug Discovery Today (IF=6.369). Kinga Matula is back from Nijmegen, where she worked in Professor Huck group as visiting researcher for a month. She performed experiments on cancer cells travelling in blood. Katarzyna Kryszczuk, the PhD student in our group, took part in a discussion about PhD studies in close future. 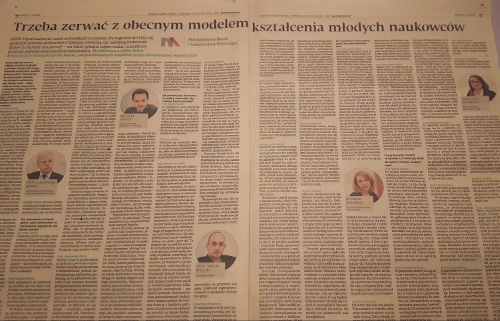 The summing up of this discussion was published in Dziennik Gazeta Prawna. She highlighted there that Institute Physical Chemistry PAS has one of the highest efficiency of PhD studies in Poland and is supporting mobility of PhD students. New PhD student joined our group! Patrycja Kuźma graduated from Adam Mickiewicz University (AMU) in Poznań; Faculty of Chemistry. She gained her Msc Degree in Biological Chemistry in 2017. During Bachelor study she participated in academic internship at Humboldt Universitat in Berlin in prof. Erhard Kemnitz Research Group. In July 2017, she received the award for the best student of the Department of Chemistry at Adam Mickiewicz University granted by Santander UNIVERSIDADES and Rector of AMU. 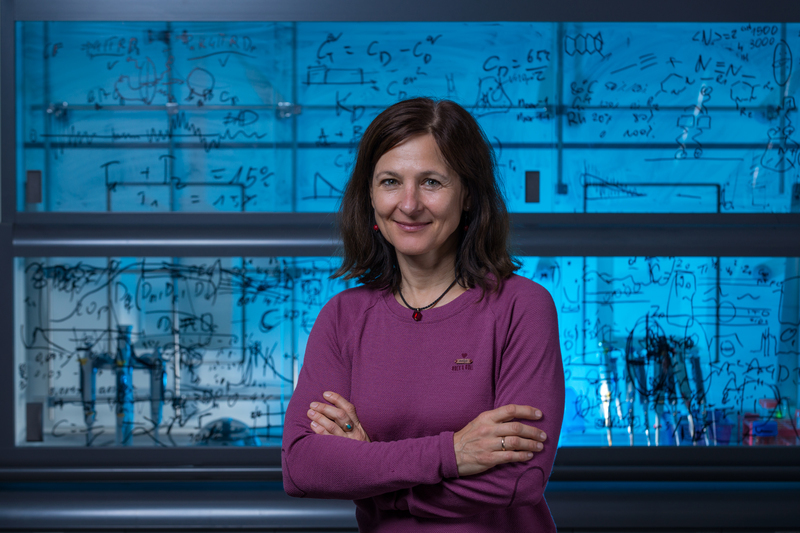 Her main scientific interests are complex ion reactions in biochemical systems and nanotechnology. Welcome Patrycja and we wish you luck! Robert Hołyst and Krzysztof Bielec visited Wrocław University of Technology. During that visit Krzysztof Bielec had presentation concerning method Time of Search (ToS) for Professor Aleksander Weron's group. 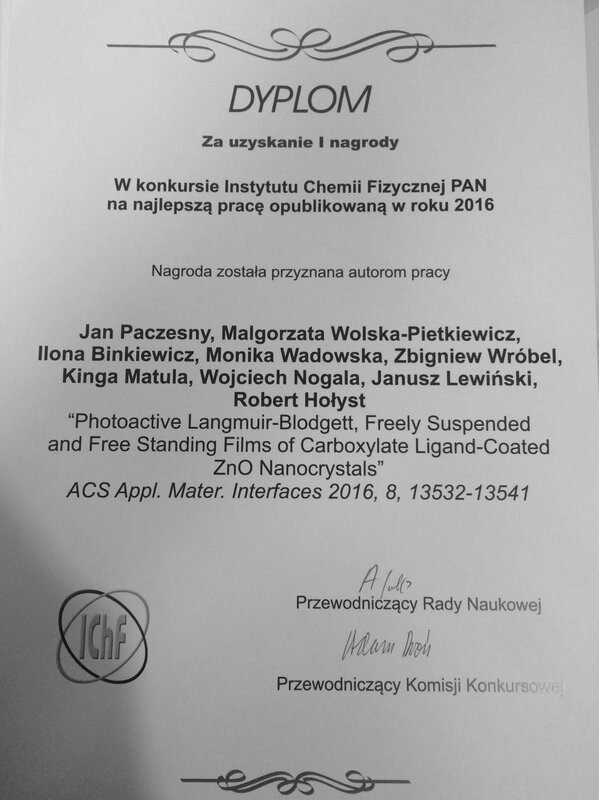 A paper by Jan Paczesny, Kinga Matuła and Robert Hołyst on thin films of zinc oxide nanocrystallites has been awarded the prize for best paper published in our Institute in 2016. Congratulations! 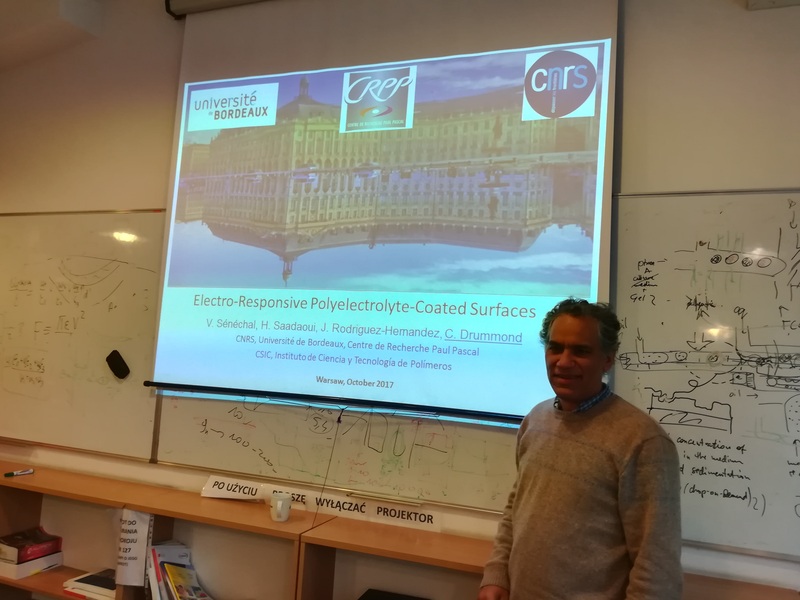 Throughout last week we hosted in our group prof. Carlos Drummond from Centre de Recherche Paul Pascal, University of Bordeaux. Prof. Drummond gave talk entitled “From fire ants to graphene: some considerations on water-hydrophobic interfaces”. Kinga Matuła gave a talk during Fall Meeting 2017 Conference organized by European Material Research Society in Warsaw. She spoke about E.coli bacteria under mechanical stress in 'Engineering surfaces to control and elucidate cellular response' session. Kinga Matula and Lukasz Richter are among winners of prestigious "Mobility of Young Researchers of IPC PAS" competition. 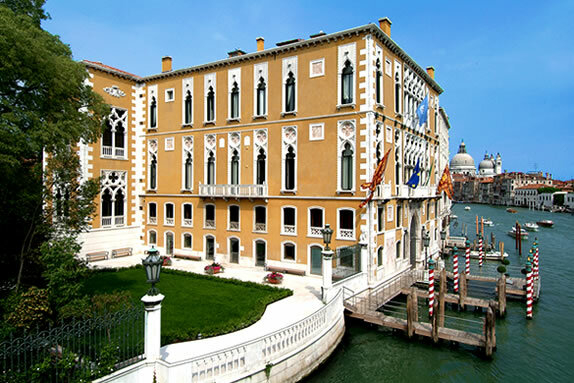 They will become visiting scholars for around a month in 2018 in Professor Wilhelm Huck group in Holland and Professor Francesco Stellacci group in Switzerland, respectively. Łukasz Fura defended his master thesis (5!) on infulence of electromagnetic field on viability of bacteria. He became MSc Eng. Congrats! He was wroking under supervision of Dr Monika Petelczyc (Warsaw University of Technology), Kinga Matuła and Prof. Robert Hołyst (IPC PAS). Kinga Matuła, Krzysztof Sozański, Airit Agasty and Robert Hołyst attended 5th Conference on Nano- and Micromechanics organized in Wrocław (04-06.07.2017). Kinga Matuła gave a talk about mechanoevolution of bacteria under nanomechanical stress. Krzysztof Sozański was invited speaker and he was talking about "How to Break a Molecular Motor: A Study of Kinesin Motion in Crowded Environment". Dr. Sozański got a price for the best talk competition results! Congrats Krzyś! The new member just joined our team! 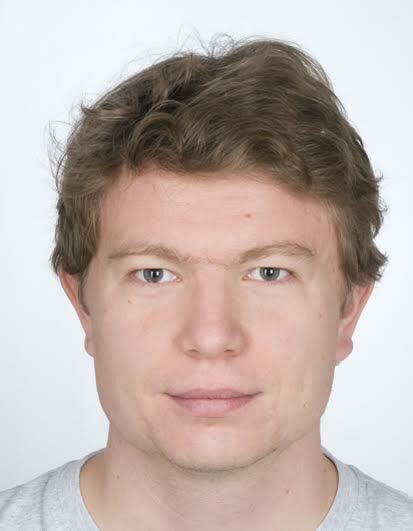 Grzegorz Bubak will be Post-Doctoral Research Assistant in our group. He graduated in Industrial Biotechnology (2012), from the Faculty of Chemistry of the Warsaw University of Technology (Poland). He received his PhD in Robotics, Cognition and Interaction Technologies in Italian Institute of Technology, Genoa. From June 2016 he was a Post-Doctoral Research Assistant at the Centre of New Technologies, University of Warsaw. Welcome Grzesiek and good luck! 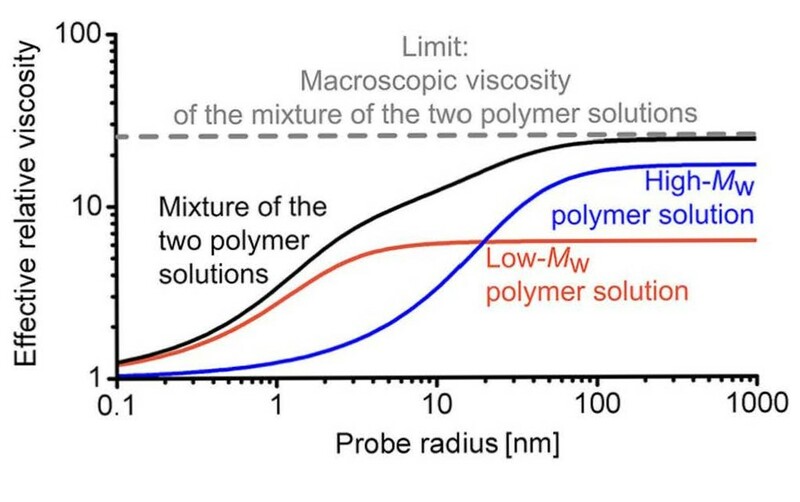 The best paper on viscosity of polymer solutions ever published!! Our last publication in Macromolecules not only gives a proper equation for viscosity of mixtures at the macroscale, but also at the nanoscale. 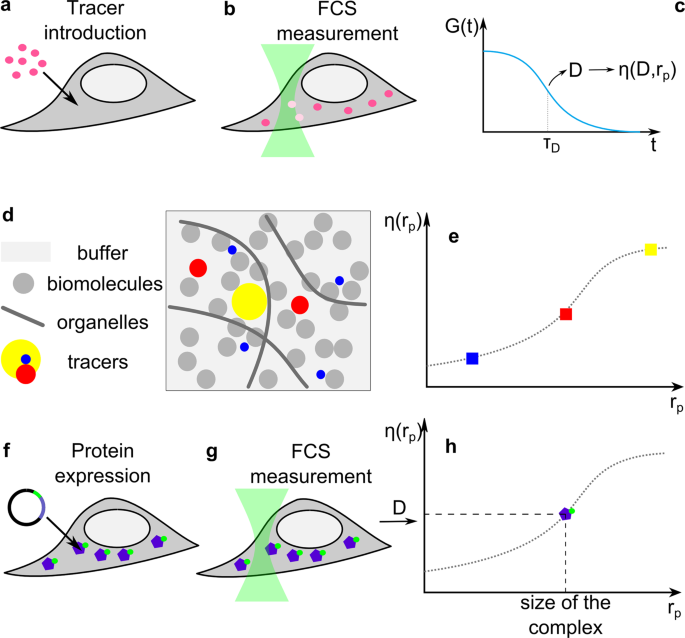 It allows to predict diffusion rates of nanoscaled probes in polymer solution mixtures and can be adapted to various multilength-scale complex systems. 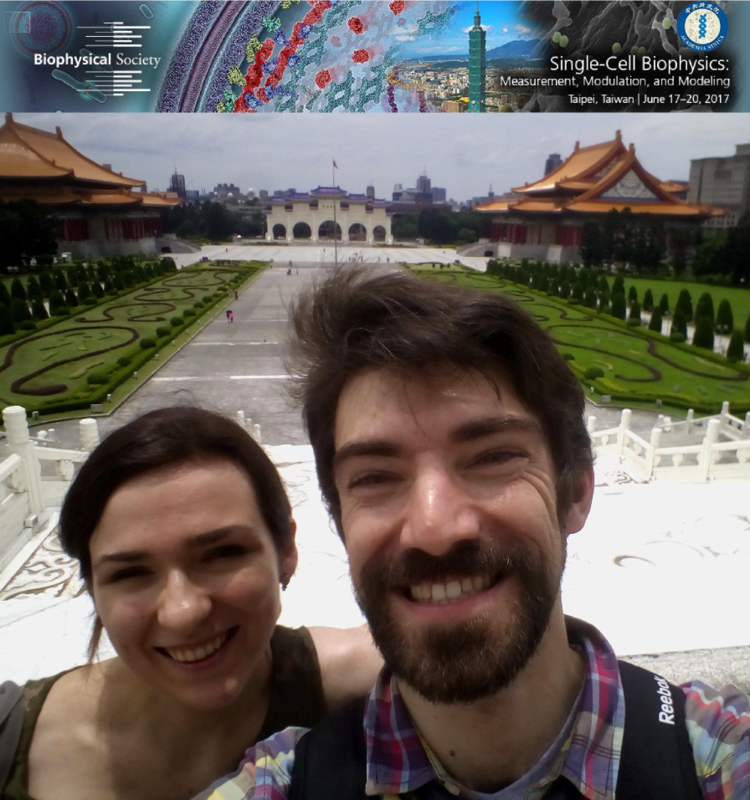 Karina Kwapiszewska and Krzysztof Szczepański visited Taipei (Taiwan) to attend conference Single-Cell Biophysics: Measurement, Modulation, and Modeling. There they presented posters "In situ Quantitative Analysis of Protein Oligomerization in Living Cells" and "Cell Cycle-Dependent Fluctuations of Protein Mobility in Cytoplasm of HeLa Cell". Our four PhD students: Agnieszka Wiśniewska, Kinga Matuła, Xuzhu Zhang and Łukasz Richter are among winners of prestigious competition “Young researchers Institute of Physical Chemistry PAS”. Congrats to all of them! On the 12th and 13th of June we have hosted Robert Evans, the distinguished Professor and the Royal Society Fellow from the University of Bristol in UK. He gave a talk entitled "Physicist's View of Hydrophobicity: Drying and the role of density fluctuations". Łukasz Richter gave invited talk in Science Club of Biotechnologists “Herbion” at Faculty of Chemistry Warsaw University of Technology. He was talking about his scientific interests and topics, whether it is worth to start PhD studies and what are pros and cons of such career path. 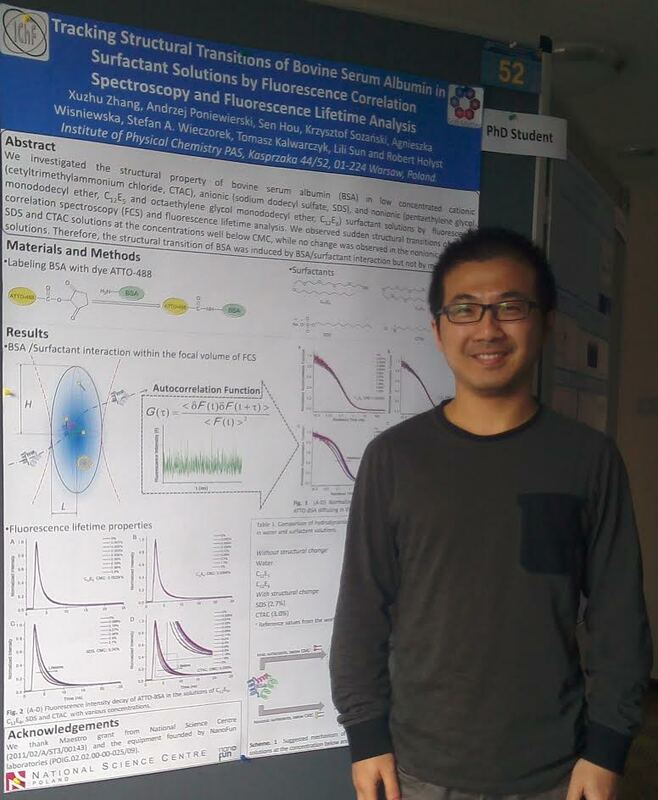 Xuzhu Zhang attended conference (Biomolecules and Nanostructures 6) in Podlesice near Kroczyce in the Krakow-Czestochowa Upland (Polish Jura). Key topics of the conference covered current subjects on the crossroads of molecular biology, physics and chemistry, including biomolecules, nanostructures, nanomachines, biosensors. 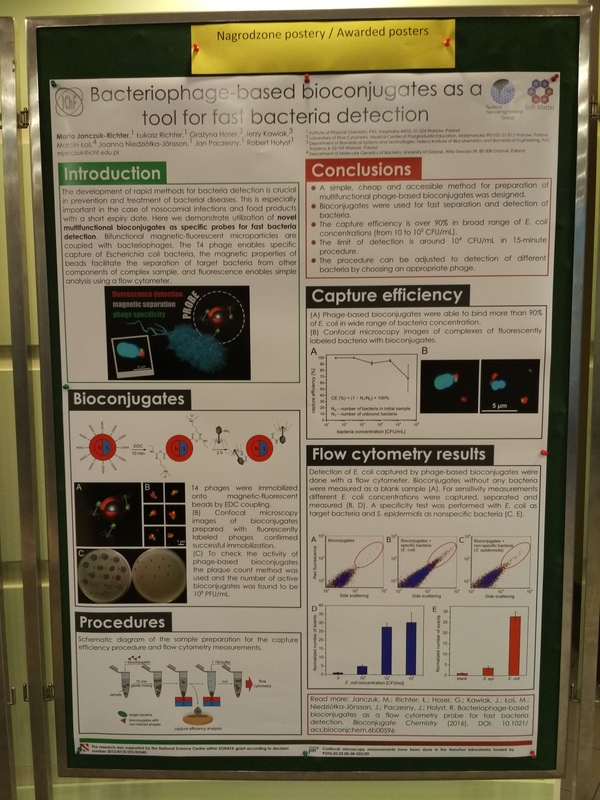 In this conference Xuzhu presented a poster entitled "Tracking Structural Transitions of Bovine Serum Albumin in Surfactant Solutions by Fluorescence Correlation Spectroscopy and Fluorescence Lifetime Analysis". Łukasz Richter attended 5th International Conference on Bio-Sensing Technology (BITE2017) organized in Riva del Garda (Italy). He presented poster about phage-based bioconjugates for fast bacteria detection. Karina Kwapiszewska and Krzysztof Szczepański visited Univerity of Edinburgh's School of Physics and Astronomy. During their stay they collaborated with dr Vincent Martinez and dr Jochen Arlt. There they aimed to observe and measure movements of content of human cell cytoplasm using novel technique - differential diffusive microscopy. The visit was co-founded by European Soft Matter Infrastructure and ERA Chair - CREATE grant. Kinga Matuła and Łukasz Richter are two from the group of seven brilliant scientists from the IPC PAS that are involved in realization of workshops and lectures withinin grant “University of young researcher”. They expanded kids knowledge about bacteria and viruses during presentations. Students will test "natural antibiotics" during session with Kinga and will make plaques of bacteriophages together with Łukasz. 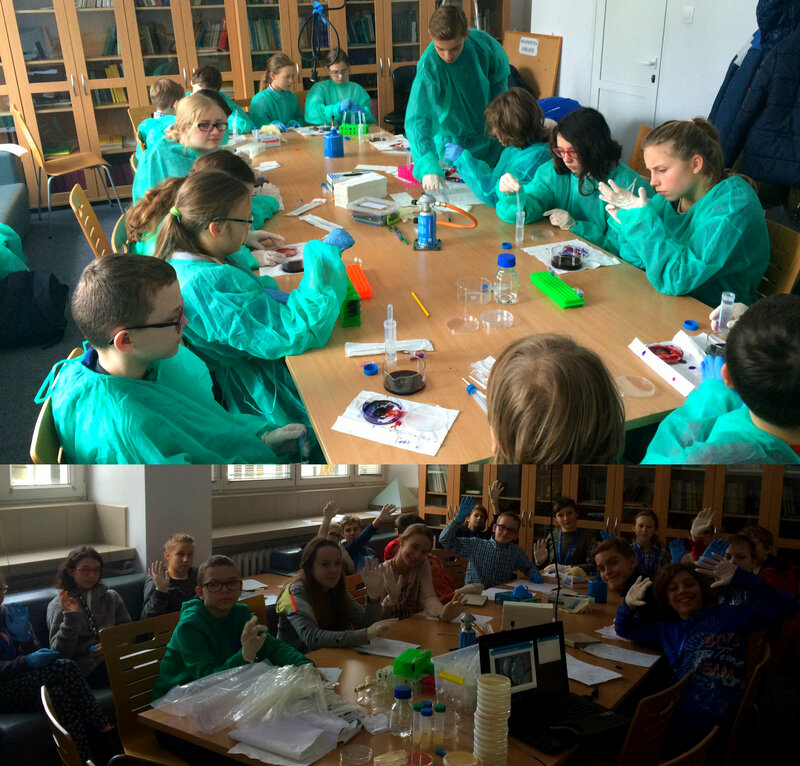 Kinga Matuła completed a second edition of "Master and student - Nanoworld" program (11.03-08.04.17) for children as part of Children's University. Krzysztof Bielec was helping Kinga during each session and together with Łukasz Richter were experts who evaluated student's projects during last formal meeting with parents. Children designed new antibacterial materials based on gold nanoparticles with application in medicine and cosmetics. We are very happy to welcome new PhD student in our group! Ying Zhou will start her PhD studies under the supervision of Professor Robert Holyst. She graduated from the Department of Clinical Laboratory Medicine, Chengdu University of Traditional Chinese Medicine (T.C.M) in 2013, then received her Master degree in Medicine from Dalian Medical University in 2016. Good luck! New PhD student joined our team! Airit Agasty is from the city of Durgapur (about 160 kms from Kalkutta) in eastern India. 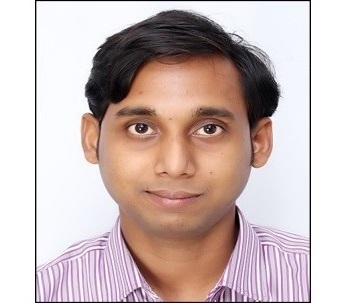 He has a Bachelor's degree in Mechanical Engineering from Jadavpur University of Kalkutta, India which he completed in 2012, and he has a Master's degree in Rubber Technology from the Indian Institute of Technology, Kharagpur which he finished in 2016. His entire Master's final year research and thesis work were performed at the Leibniz Institute of Polymer Research in Dresden, Germany on a DAAD scholarship. 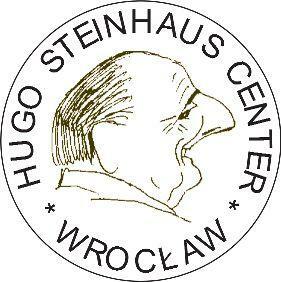 Robert Holyst delivered a lecture for student from the Jagiellonian University in Cracow. He talked about motion in liquids. His lecture started with the famous Richard Feynmann sentence: If, in some cataclysm, all of scientific knowledge were to be destroyed, and only one sentence passed on to the next generation of creatures, what statement would contain the most information in the fewest words? I believe it is the atomic hypothesis that all things are made of atoms — little particles that move around in perpetual motion, attracting each other when they are a little distance apart, but repelling upon being squeezed into one another. Sen Hou and Robert Holyst visited State Key Laboratory of Medicinal Chemical Biology​ of Nankai University. 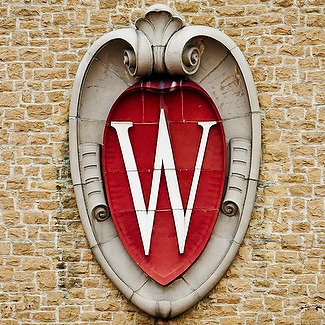 The latter is in top 10 among circa 2400 colleges and Universities in China. This official visit resulted in formal agreement between Chinese scientific unit and our Institute. Our informal collaboration started in 2009 with the arrival of dr Sen Hou to our group. We have already published more than 10 papers with researchers from Nankai University and obtained two grants from China. 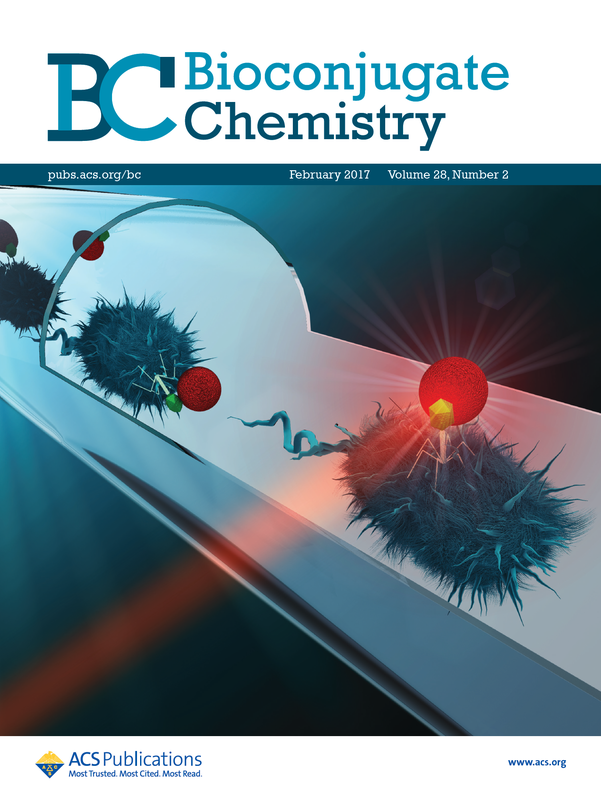 Our recently published article was featured on the front cover of Bioconjugate Chemistry (February 15, 2017, Volume 28, Issue 2)! Robert Holyst has just won a prestigious contest of National Science Center and got a Maestro grant (2.4 MPLN) entitled "New method for determination of equilibrium constant for complex formation, concentrations and diffusion coefficients in solutions and living cells at nanomolar down to picomolar concentration of reagents". Three PhD positions, 2 MSc positions and 1 postodc positions are available in our group. Only 8 such grants were awarded in all basic and technical sciences in Poland in this contest. Tomasz Kalwarczyk is taking his internship in the lab of Prof. Mireille Claessens at University of Twente (Netherlands; 05.02.2017-04.03.2017). He is interested in interactions between Parkinson's related protein alpha-Synuclein and the capsid proteins of plant virus. 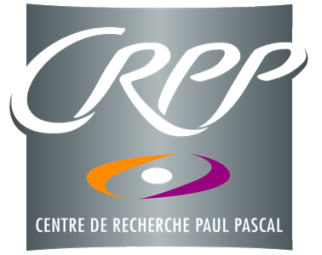 Łukasz Richter just started his two-month internship in group of Professor Carlos Drummond in Centre de Recherche Paul Pascal (Bordeaux, France). He will be working on the behaviour of ions in high frequency electric fields using technique called surface forces apparatus (SFA). Yet another press release on the research preformed in our group. 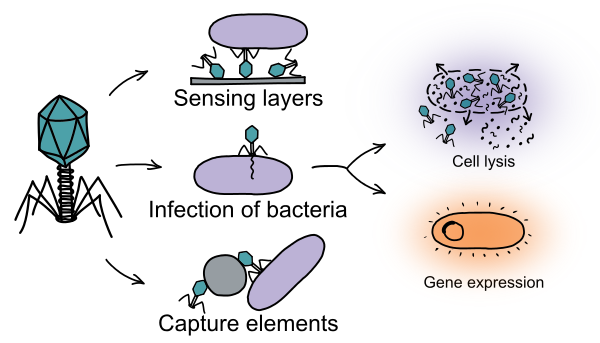 Bacteriophage-based bioconjugates are the thing now! 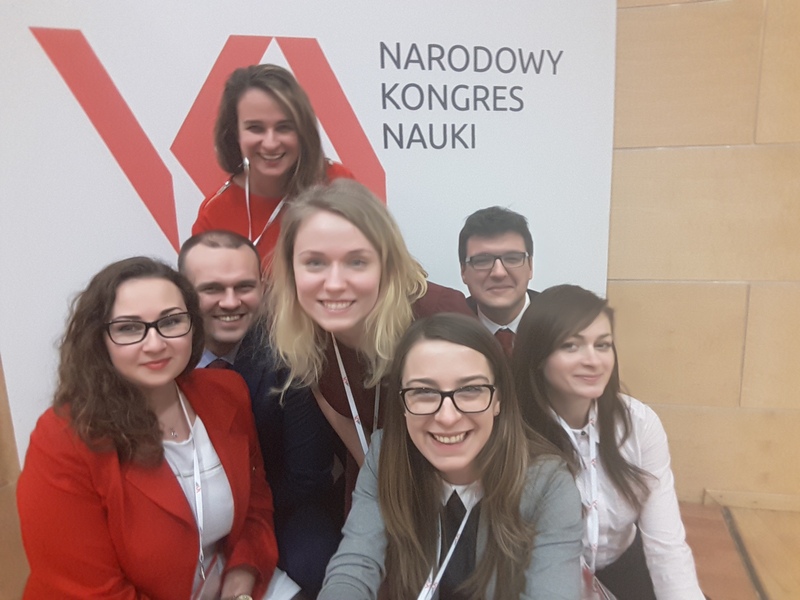 Katarzyna Kryszczuk took part in Narodowy Kongres Nauki on 26-27th of January 2017. The subject of the conference was "Paths of academic career and the development of young scientists." Discussion during the conference particularly focused on PhD studies and increasing of their level. 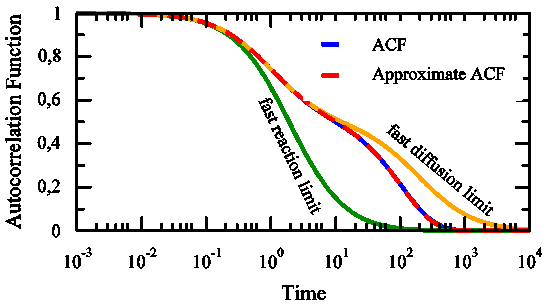 One theoretical paper "Analytical form of the autocorrelation function for the fluorescence correlation spectroscopy" by Robert Hołyst , Andrzej Poniewierski and Xuzhu Zhang has just published in the journal of Soft Matter. 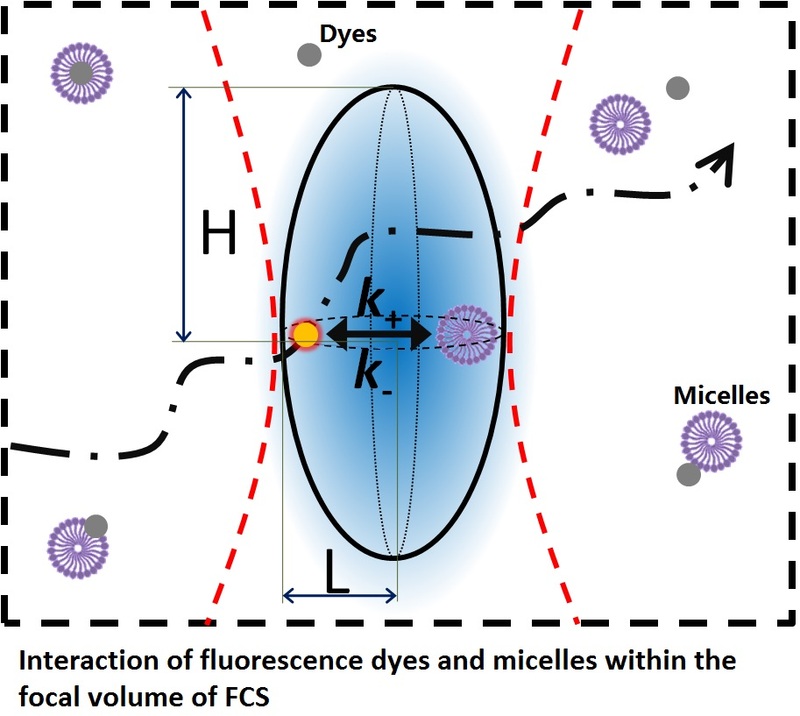 In this paper we derived a novel formula for FCS autocorrelation function to study diffusion and binding-unbinding interaction of dye molecules with non-fluorescent particles. During The Annual Microsymposium in the Institute of Physical Chemistry PAS Marta Janczuk-Richter and Łukasz Richter presented the poster about our recent publication. The poster was awarded by committee as one of four best posters during symposium. Kinga Matula gave a talk on influence of nanomechanical stress on viability of cells during The Annual Microsymposium in the Institute of Physical Chemistry PAS (Main Auditorium, 10th of January 2017, 2.20 PM). Only few Researchers were asked to give oral presentation (eleven talks in 2017). Majority of projects conducted in IPC PAS was presented in form of posters (92 posters). New publication of Lili Sun was accepted for publication by Scientific Reports as result of collaboration with the scientists of Nankai University and TEDA Hospital in TianJin, China. 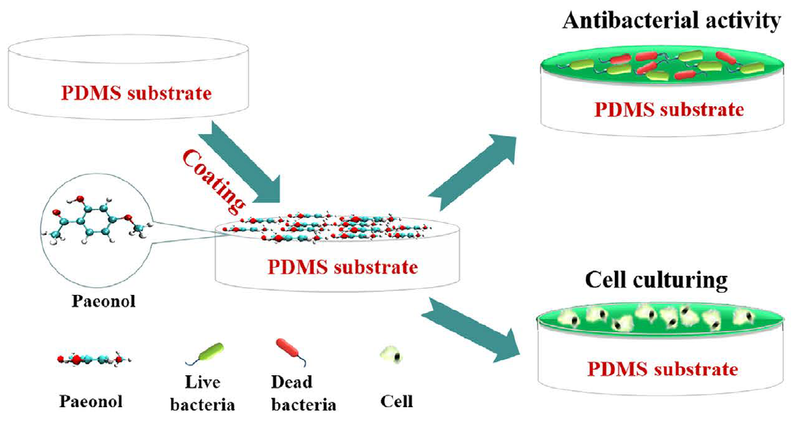 Title: "Antibacterial and anticancer PDMS surface for mammalian cell growth using the Chinese herb extract paeonol(4-methoxy-2- hydroxyacetophenone)" Authors: Jiajia Jiao,# Lili Sun,# Zaiyu Guo,# (equal contribution) Sen Hou, Robert Holyst, Yun Lu, Xizeng Feng. Throughout the last week of November we hosted in our group four gifted high-school students. 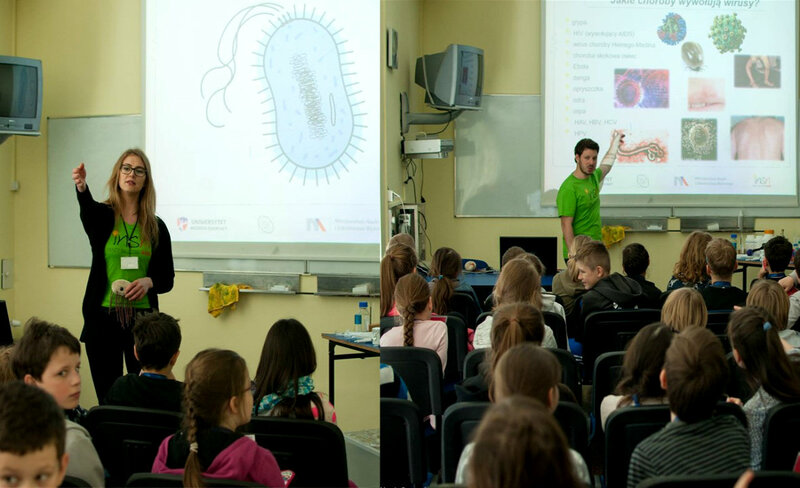 As a part of the Institute's collaboration with the Polish Children's Fund, we provided the promising youth with a glimpse of how actual work in scientific laboratories looks like. Who knows: maybe this could be a start of some brilliant scientific career? During 10th International Warsaw Invention Show invention of Łukasz Richter, Jan Paczesny, Monika Księżopolska-Gocalska and Robert Hołyst was awarded with platinum medal. Katarzyna Kryszczuk has been chosen to the Management Board of National Representation of PhD students (KRD) on 3rd of December 2016 on the XVII National Congress of PhD students and XIII Ordinary Congress of Delegates. KRD is a statutory representative body of all PhD students in Poland. Congrats Kasia! New paper of Łukasz Richter and Jan Paczesny was accepted for publication as a result of collaboration with Marta Janczuk-Richter, Professor Kawiak and Dr Hoser, Professor Łoś and Professor Niedziółka-Jönsson. Congratulations! Kinga Matuła started a program of courses "Master and student" (26.11.16-14.01.17) for children as part of Children's University project which popularizes science. During the series of meetings she is talking about: work in microbiological laboratory, bacteria, virsues, nanoparticles. Student in age around 11 perform several experiments and as a final result they design new materials based on nanoparticles that possess unique antibacterial activity. 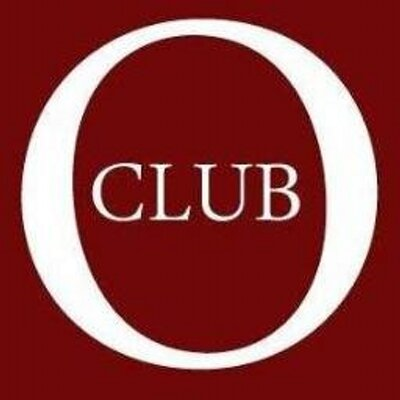 Łukasz Richter and Kinga Matuła gave interviews for discussion portal Otokoclub . Łukasz raised a subject of viruses and bacteriophages, whereas Kinga discussed the issue of antibiotic resistance and antibacterial usage of nanoparticles. 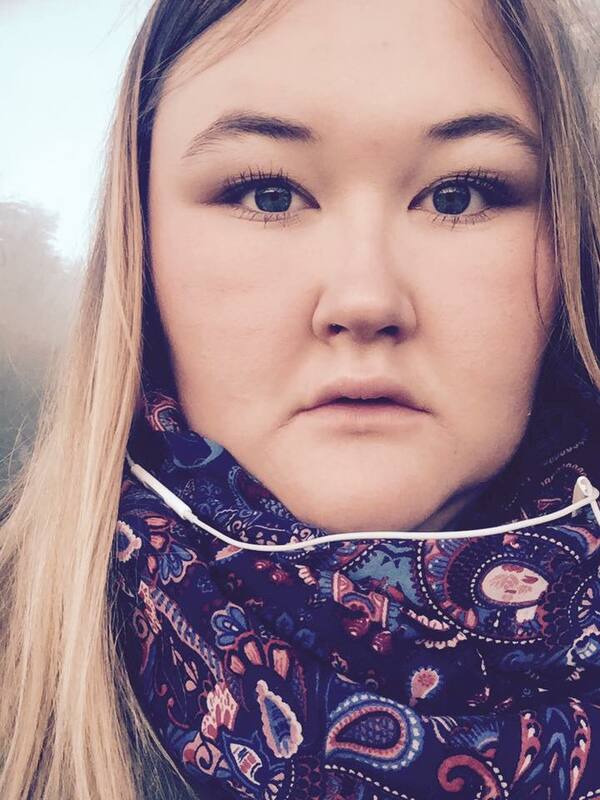 Kinga Matuła worked in group of Professor Wilhelm Huck in Nijemgen (Holland) on Radbound University within one-month internship (17.10-18.11.16). She was working on method of detection of circulating tumor cells in droplet-based microfluidics. New PhD students joined our team! We are happy to announce that Yirui Zhang and Krzysztof Bielec officially started PhD studies. Good luck! A new member joined our soft matter group! Dr. Katarzyna Wybrańska is a physical chemist who is focused on nanotechnology. She creates new nanomaterials and analyzes their aplicability. 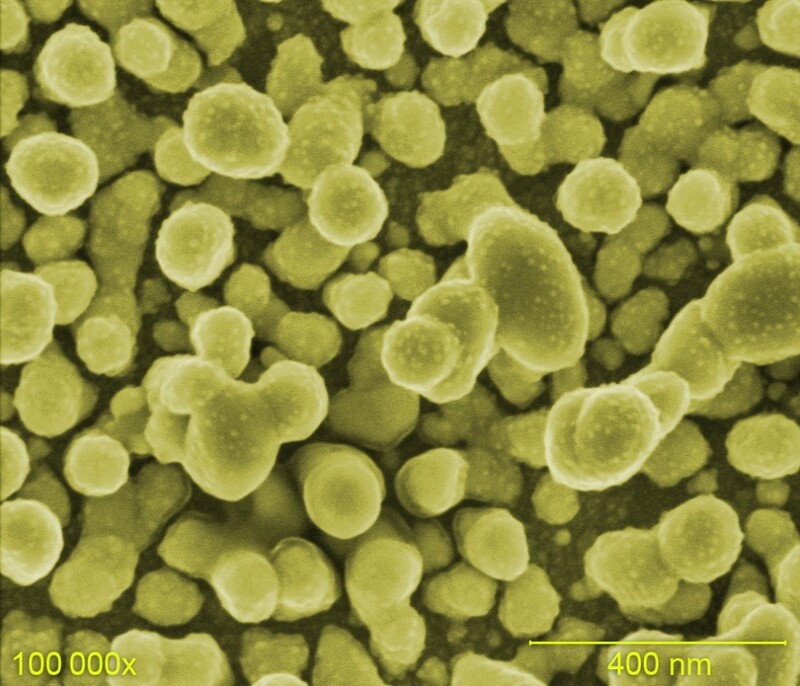 We keep our finger crossed for commercialization of her antibacterial nanocoatings! 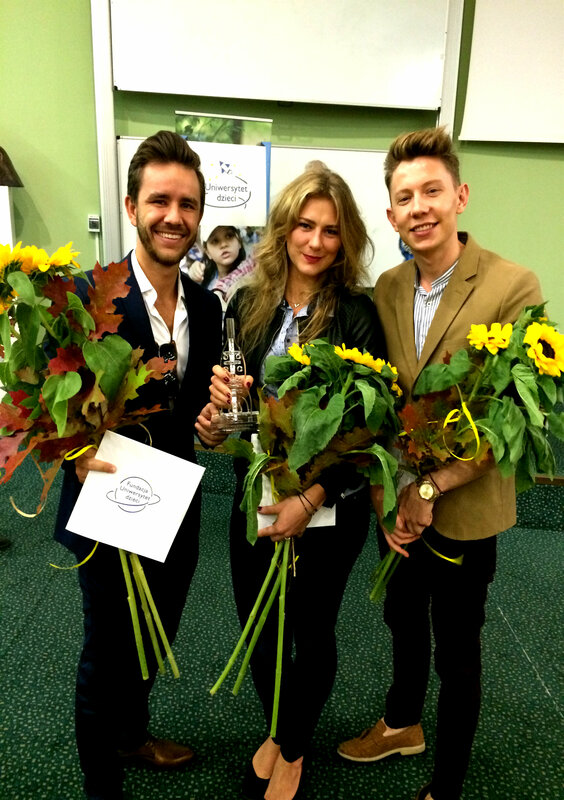 Kinga Matula together with Artur Ruszczak and Michal Horka (professor Garstecki group) were awarded title Tutor of The Year 2015/2016 by children participating in Children's University. Congrats! New paper of Jan Paczesny was accepted for publication as a result of collaboration with Marcin Runowski, MSc, Tomasz Grzyb, PhD, and Professor Stefan Lis (UAM, Poznan, Poland). 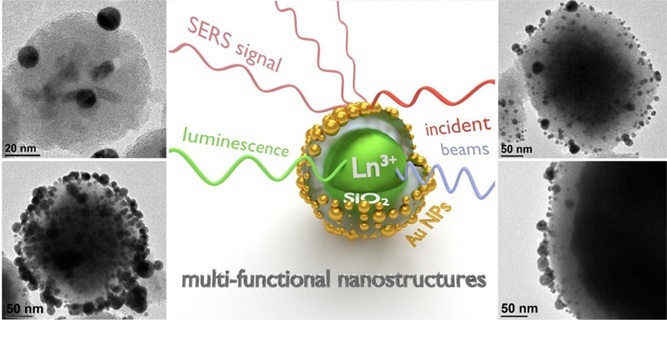 Title: "Preparation of Biocompatible, Luminescent-Plasmonic Core/shell Nanomaterials Based on Lanthanide and Gold Nanoparticles Exhibiting SERS Effects" Authors: Runowski, Marcin; Goderski, Szymon; Paczesny, Jan; Księżopolska-Gocalska, Monika; Ekner-Grzyb, Anna; Grzyb, Tomasz; Rybka, Jakub; Giersig, Michael; Lis, Stefan ​ Congrats! Kinga Matuła, Krzysztof Sozański and Łukasz Richter participated in the 4th International Soft Matter Conference (ISCM 2016) in Grenoble, France (11.09-17.09.2016). We are pleased to inform that paper of Xuzhu Zhang, Andrzej Poniewierski, Aldona Jelińska, Anna Zagożdżon, Agnieszka Wisniewska, Sen Hou, and Robert Hołyst was published in Soft Matter in September. Congratulations! The title is "Determination of equilibrium and rate constants for complex formation by fluorescence correlation spectroscopy supplemented by dynamic light scattering and Taylor dispersion analysis"
Sen Hou, Lili Sun and Piotr Trochimczyk attended 22nd International Workshop on “Single Molecule Spectroscopy and Super-resolution Microscopy in the Life Sciences” in Berlin, Germany. Lili and Sen presented poster entitled "Enhanced DNA nanoparticle formation in macromolecular crowding environment studied by fluorescence correlation spectroscopy". Piotr made an oral lecture entitled "How can macromolecular crowding inhibit biological reactions? The enhanced formation of DNA nanoparticles"
Kinga Matula, Tomasz Kalwarczyk and Lukasz Richter are laureates of "Mobility of Young Researcher of IPC PAS" ("Mobilnosc Mlodych Badaczy IChF") contest. Kinga will work in Professor Wilhelm Huck group at Radboud Univeristy (Nijmegen, Holland). Tomek will pay a visit to group of Professor Mireille Claessens and also group of Professor Jeroen J.L.M. Cornelissen, both in University of Twente (Netherlands). Lukasz is going to visit Bordeaux, France, to work in Centre de Recherche Paul Pascal in Professor Carlos Drummond group (Structure and Dynamics of Soft Matter). Łukasz Richter was a guest of Katarzyna Burda from Newsweek Poland. This video interview is about mysterious biomimicry and it was done as a part of Spokesman for Science (Rzecznicy Nauki). You can watch it here. 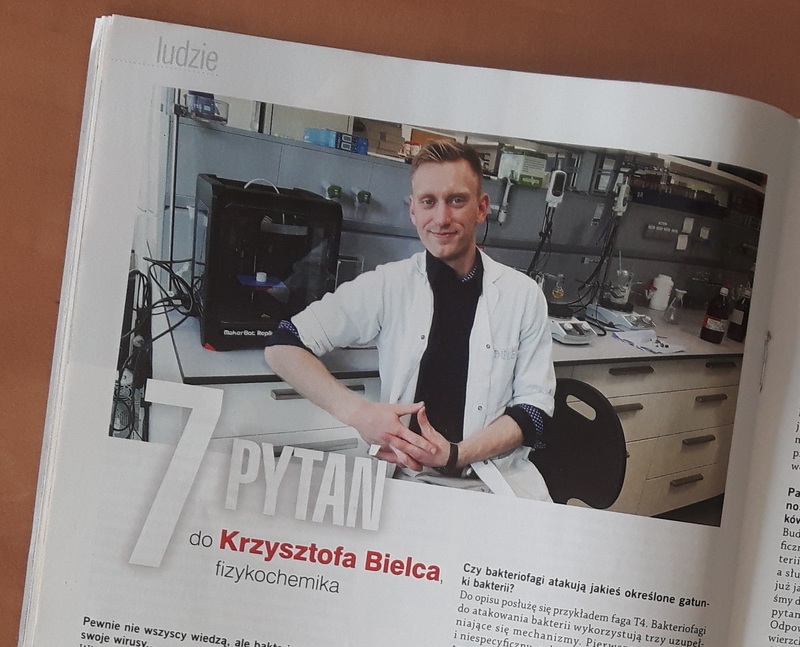 Interview with our PhD student, Krzysztof Bielec in popular science magazine „Wiedza i Życie”! As the semi-finalist of FameLab 2016, Krzysztof Bielec was invited to answer a few questions about bacteriophages and possibilities of using them to defeat bacterial infections. We encourage to read the full text, available in hard copy. Sen Hou, Piotr Trochimczyk and Lili Sun went to Girona, Spain to attend one Computation Chemistry conference entitled "Theory and Simulation Across Scales in Molecular Science". They presented there two posters, that raises great interest and fruitful discussions. Sen Hou and Lili Sun just came back from three-month visit in Prof Douglas Weibel’s group in USA. They were working on the interaction of RecA protein and cell membrane lipid. They also paid several scientific exchanging visits to famous universities in USA to meet our cooperators’ groups, among others Prof Tang Wang in Florida Middle University in Orlando, Prof Aleksei Aksimentiev in UIUC, Marcin Tabaka, PhD in MIT and Prof Chenfeng Ke in Dartmouth College. Yirui Zhang joined our group! She started her PhD studies under supervision of Professor Anna Maciołek. Yirui graduated from Department of Physics, Hong Kong Baptist University in 2013, then received her M.Sc. 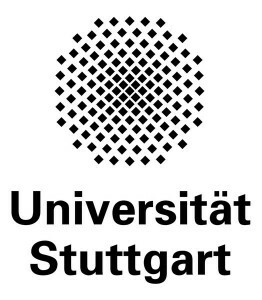 in Physics from University Stuttgart in 2015. Welcome! 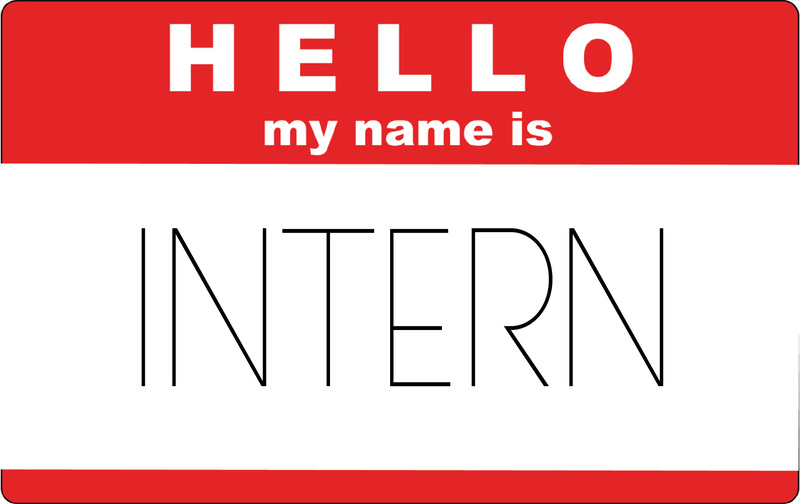 We are happy to announce that during summer holiday we will host a few new interns in our group: Małgorzata Jabłońska, Marta Pilz and Aleksandra Dawidziak from University of Warsaw as well as Aneta Karpińska, Karol Ulatowski and Łukasz Fura from Warsaw University of Technology. Welcome and good luck! Professor Robert Hołyst participated in workshops on innovative approaches to the computational studies of droplets with multiple ions, called “Computational methods for modelling multiply-charged droplets”. During the event Professor Hołyst gave very interesting invited speech entitled “Charged materials in alternating electric field”. Łukasz Richter was a guest of Professor Anton Ficai from Department of Science and Engineering of Oxide Materials and Nanomaterials at University Politehnica of Bucharest. He also gave a lecture as an invited speaker. Krzysztof Bielec defended his Master Thesis and became a new PhD student in our group. He studied at the Jagiellonian University and he prepared his Master Thesis under supervision of Agnieszka Skórska-Stania, Jan Paczesny and Łukasz Richter. Good job Krzysiek and keep it up! Another PhD in our group! 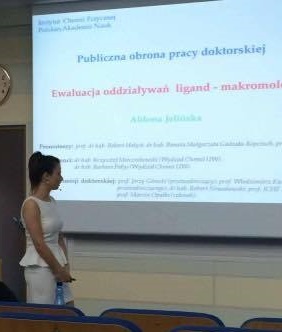 Aldona Jelińska is now officially a Doctor of Philosophy. Congrats to Aldona! Agnieszka Wiśniewska, Aldona Jelińska and Professor Robert Hołyst participated in 2nd European Workshop on Taylor Dispersion Analysis in Copenhagen (Denmark). 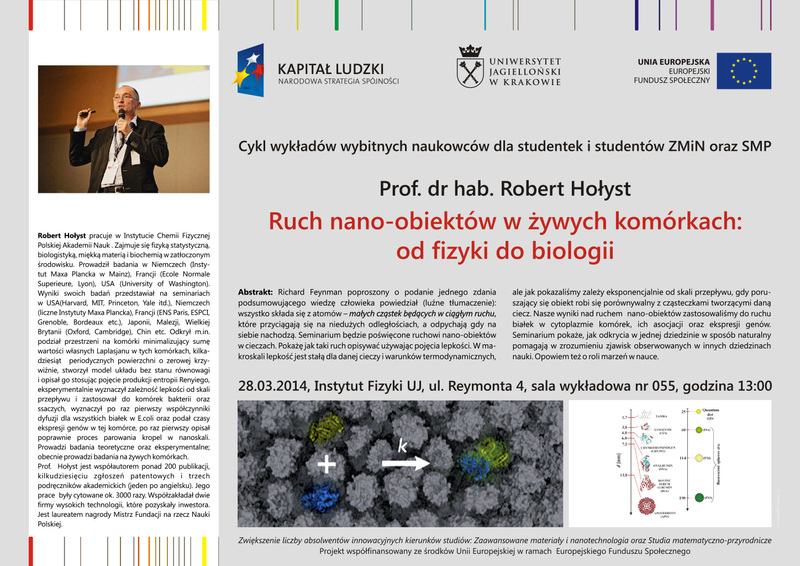 Professor Hołyst gave a lecture as an invited speaker. The TDA 2016 Workshop was organized on behalf of University of Montpellier, University of Copenhagen and Analytiker-Ringen, Danmarks Farmaceutiske Selskab. We are happy to inform that Anna Zagożdżon from our group is now a PhD. We are all very proud! Congratulations Ania! 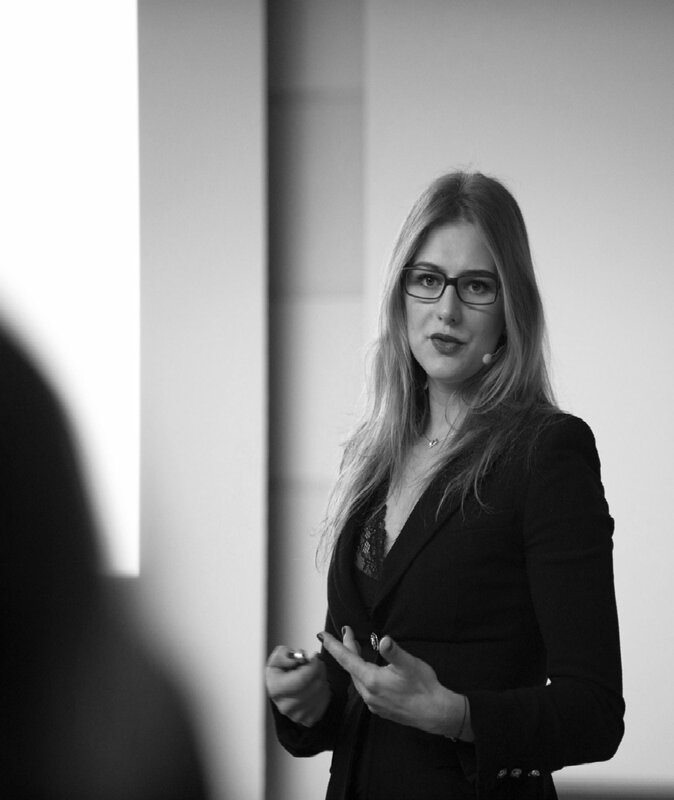 Kinga Matuła was invited to give a talk in series of lectures called "Mam Ochotę na Chemię" organized by Scientific Association of Chemists at University of Warsaw "Fulleren" on 12th of May 2016. Electric field in biological applications. Łukasz Richter participated in 44th International Exhibition of Inventions in Geneve (Swiss). He was awarded with gold medal with the special congratulations of the jury and special prize granted by Korea Invention Promotion Association. Congrats! Richter, Ł.; Paczesny, J,; Księżopolska-Gocalska, M.; Hołyst, R.
New paper of Lili Sun was accepted for publication by Plos One as result of collaboration with the scientists of UIUC, Clemson University and Washington University in USA. 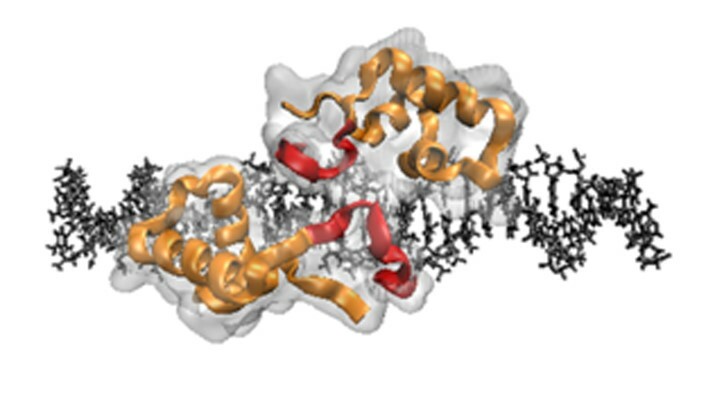 Title: "The hinge region strengthens the nonspecific interaction between Lac-repressor and DNA: a computer simulation study" Authors: Lili Sun, Marcin Tabaka, Sen Hou, Lin Li, Krzysztof Burdzy, Aleksei Aksimentiev, Christopher Maffeo, Xuzhu Zhang, Robert Holyst. Also PhD candidates are being recruited for the project! Łukasz Richter is among winners of Student-Inventor 2016 competition. Five inventions prepared by students were chosen to present in Geneva during Innovation Expo in April 2016. Three inventions were submitted to Eureka! DPG competition from Institute of Physical Chemistry PAS. All three of them are connected with our group! We are looking forward for the results of the competition! Łukasz Richter and Janek Paczesny live in Polish Radio 1 on 29th of February at 8 PM! Krzysztof Bielec in FameLab 2016 semifinal! Please come to Copernicus Science Centre and support Krzysztof on Saturday, 27th of February 2016! Article about work of Łukasz Richter in Newsweek Poland! The piece was done as a part of Spokesman for Science (Rzecznicy Nauki) programme by Copernicus Science Centre. The idea of the programme is to bring scientist to cooperate with journalist to speak about polish science in intelligible way. You can read it here. 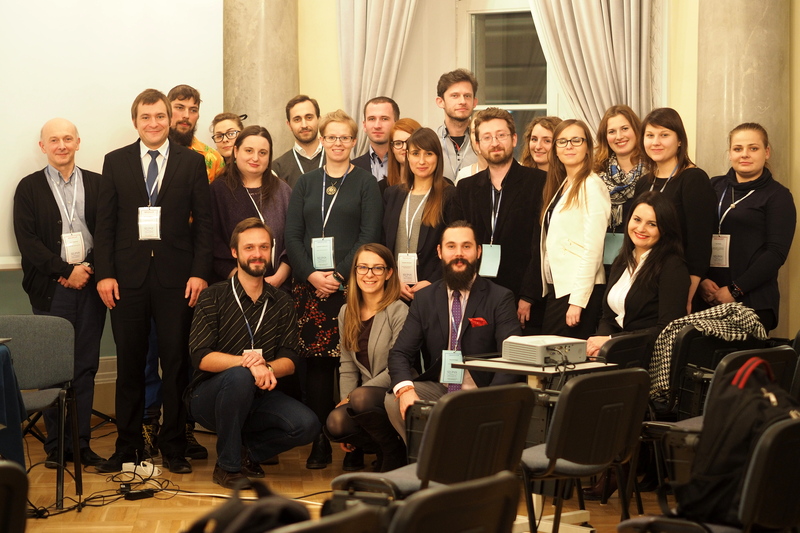 The scientific committee at the IPC PAS announced that posters presented by Kinga Matuła, Krzysztof Sozański and Anna Maciołek during annual reporting symposium were awarded in competition for outstanding posters. Mechanoevolution of Escherichia coli: from Gram-negative toward Gram-positive strain. 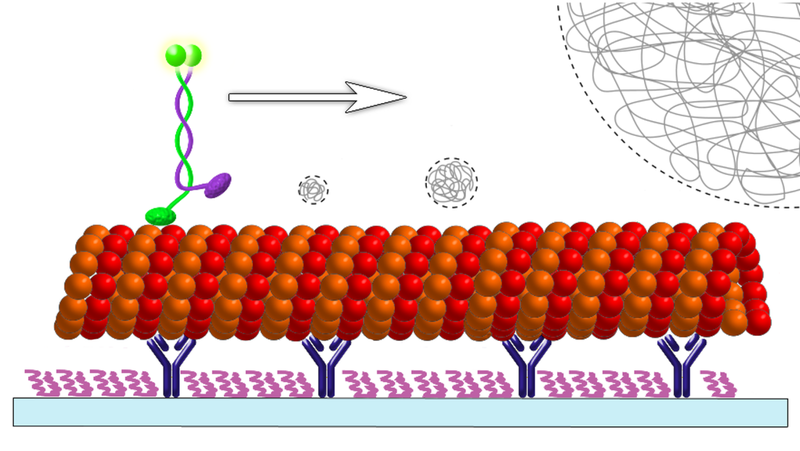 How to break a molecular motor: A study of kinesin motion in crowded environment. Janek Paczesny appeared recently twice in public media. 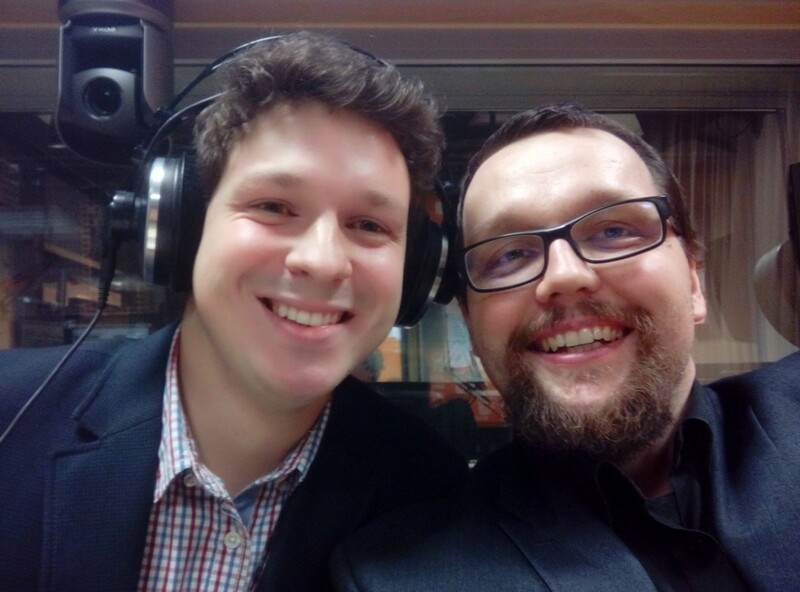 He was a guest of Karolina Głowacka in radio TOK FM on 7th of January. The audition was on new elements, which fulfilled the 7th row of periodic table. Janek appeared also in TVN ("Dzień Dobry TVN") on 15th of January in material dealing with first scientific stand-up in Poland. Krzysztof Sozański, Janek Paczesny and Robert Hołyst were invited to give talks during IPC PAS annual reporting symposium. Only the best papers from year 2015 were presented. And yet another press release describing our recent work published in Sensors and Actuators B: Chemical. 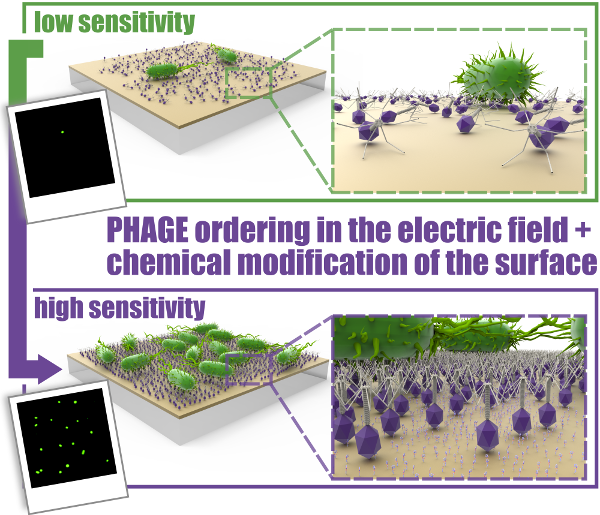 The paper describes our recently published method on orientation of bacteriophages in the electric field. Congrats to Łukasz Richter, Kinga Matuła and Janek Paczesny who did most of the work. More about this method you can find in the press release note and in the paper. A brand new paper on mechanism of kinesin motion has been recently published in Physycal Review Letters. Congrats to Krzysztof Sozański (first author) et consortes. More details in the release press note and the publisher web site. 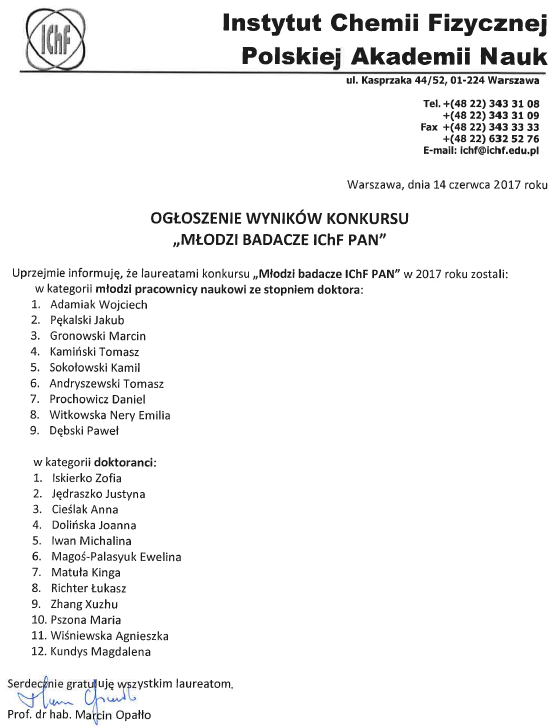 Another press release from our group – check it out at http://ichf.edu.pl/press/2015/10/IChF151022a_EN.pdf. This time, it concerns the new view of the evaporation process presented in a recent Soft Matter paper by Robert Hołyst et al. 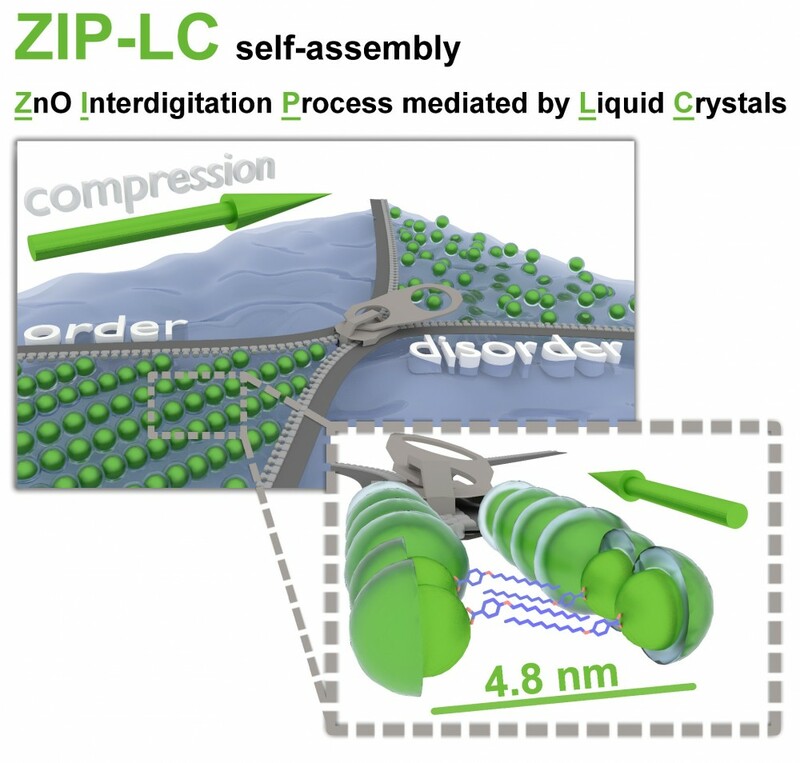 A paper on self-assembly of liquid crystal/ZnO nanocrystals was just published in Chemistry – A European Journal (IF 5.73).The project was developed in collaboration with the Lewinski group and the lead author is dr Jan Paczesny. You can find it at http://onlinelibrary.wiley.com/doi/10.1002/chem.201502714/full. Another PhD graduated from our group today. Big congrats to Witold Adamkiewicz, and good luck on your post-doc in South Korea! Good news from the Ministry of Science! This year, four people form our group were awarded prestigious, three-year scholarships for outstanding young scientists. These are: Tomasz Kalwarczyk, Karina Kwapiszewska, Jan Paczesny and Krzysztof Sozański. 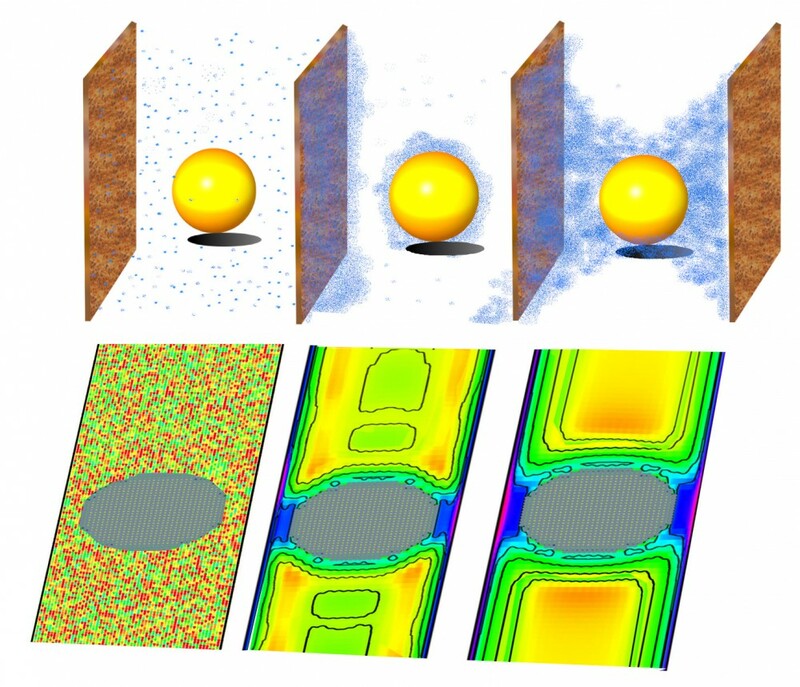 A comprehensive review on the length-scale dependent viscosity model, whose lead author is dr Tomasz Kalwarczyk, was just published by Advances in Colloid and Interface Science (IF 7.78). You can find it at http://www.sciencedirect.com/science/article/pii/S0001868615000925 . 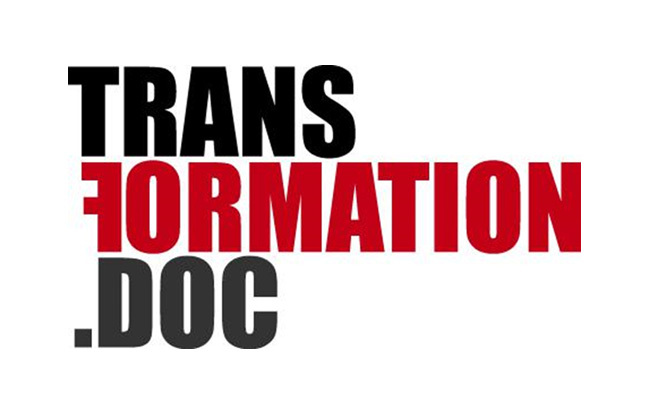 Three members of our group: Kinga Matuła, Łukasz Richter, and Krzysztof Sozański, were qualified for the TransFormation.doc program organized by the Ministry of Science. They will participate in two-week soft skill courses at the world’s top universities. Learn – and spread the knowledge! 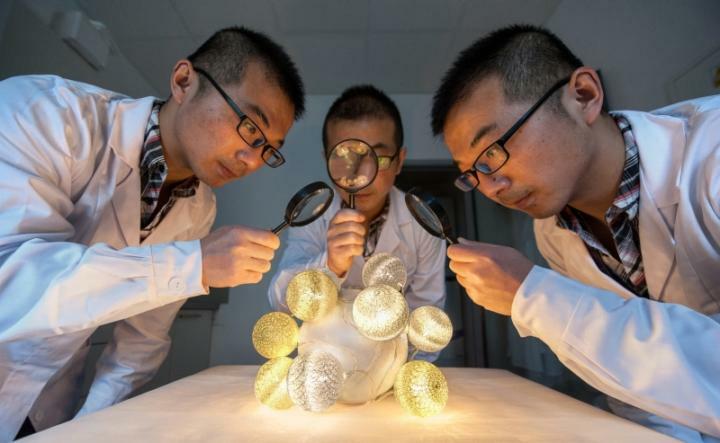 Lili Sun, Sen Hou and Robert Hołyst were involved in a collaboration with teams from Tianjin (China), which now brought a publication in Scientific Reports (IF 5.58). The article can be found at http://www.nature.com/articles/srep10464 . Jan Paczesny on the radio, talking about science, financing and our Institute. Twice! You can find the recordings here: http://audycje.tokfm.pl/odcinek/25840 and here: http://rdc.pl/publikacja/popoludnie-rdc-stypendia-dla-mlodych-naukowcow/ . Another START scholarship from the Foundation for Polish Science goes to our group – this time, thanks to dr Jan Paczesny. Robert Hołyst co-authored a text in the News and Views section of the recent issue of Nature Physics, http://www.nature.com/nphys/journal/v11/n4/full/nphys3297.html . 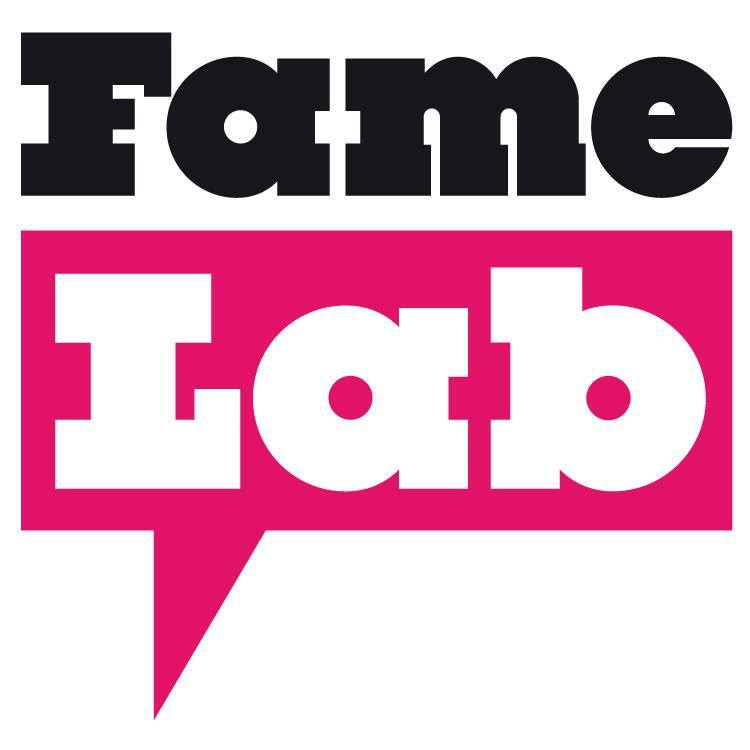 Out of 25 semi-finalists of the prestigious popularization competition, FameLab Poland, three are form our group! These are: Kinga Matuła, Jan Paczesny, and Łukasz Richter. Congratulations, and best of luck in the finals! The results of the science popularization competition INTER 2014, organized by Foundation for Polish Science, are here – 3rd prize goes to dr Jan Paczesny for his talk on rapid evolution of bacteria under mechanical stress. Congratulations! (http://www.fnp.org.pl/konkurs-popularyzatorski-inter-2014-rozstrzygniety/). 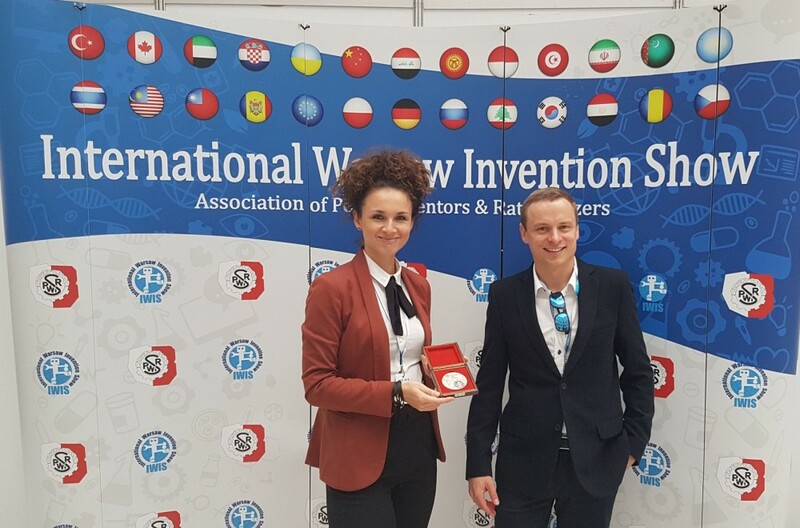 Our team returned from the 8th International Warsaw Invention Show IWIS 2014 with a total of four medals (one golden, two silver and a Glory Medal)! 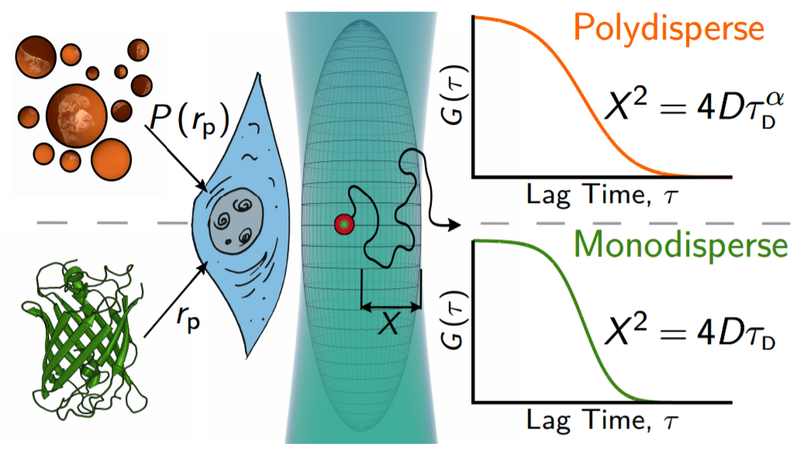 Congratulations to Jan Paczesny, WitoldAdamkiewicz, Krzysztof Sozański, Robert Hołyst and their collaborators from other groups as well as InInstitute of High Pressure Physics PAS. We have another paper in Nanoscale (IF 7.39) – this time, concerning the transport properties of colloidal and protein solutions. The lead author is Tomasz Kalwarczyk and the text can be found here: http://pubs.rsc.org/en/content/articlehtml/2014/nr/c4nr00647j . Results of the 2014 edition of START scholarships were just announced by the Foundation for Polish Science. This year’s laureate from our group is Jan Paczesny. Congratulations! 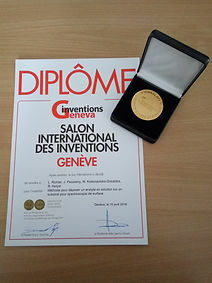 We got two awards for the inventions on nanostructure ordering on surfaces and their application to SERS: first, the Student-Inventor award by the Kielce University of Technology, and soon afterwards a silver medal at the 42nd International Exhibition of Inventions in Geneva. 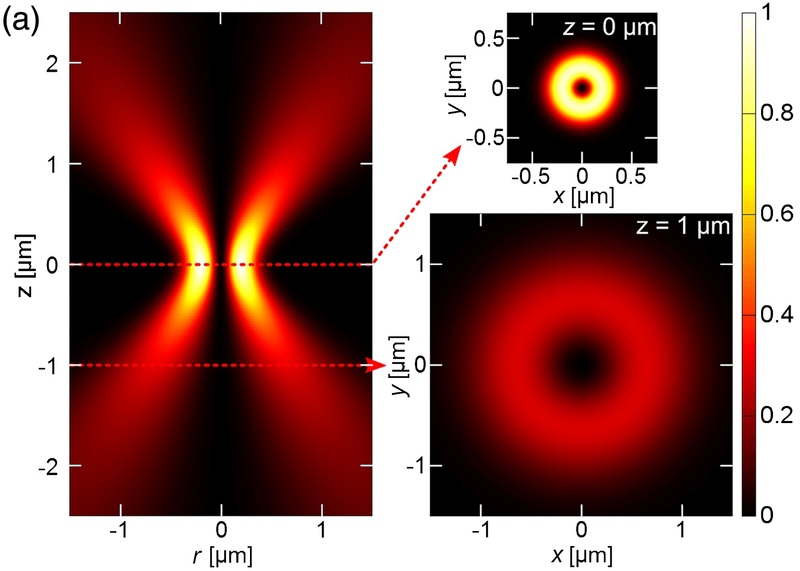 Congratulations to Jan Paczesny, Witold Adamkiewicz, Krzysztof Sozański, Robert Hołyst and their collaborators from other groups as well as InInstitute of High Pressure Physics PAS. A stunning press release on the work conducted in our group on Taylor dispersion analysis! 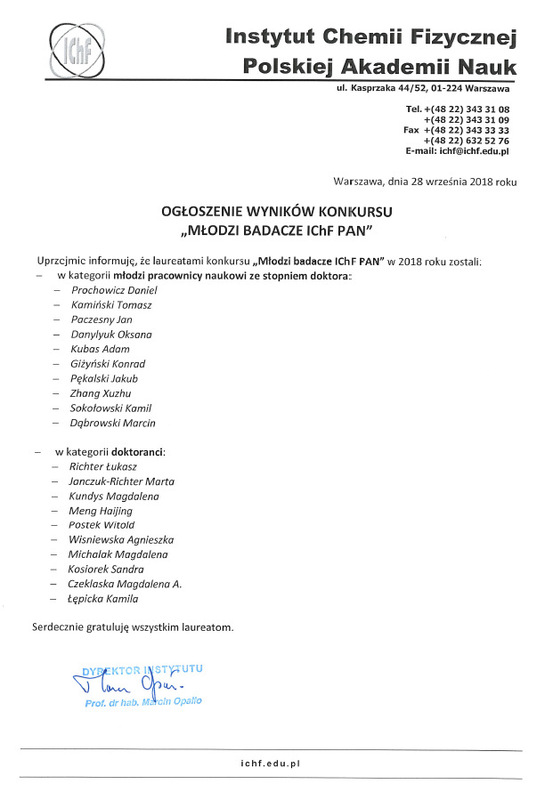 Check it out at http://ichf.edu.pl/press/2014/02/IChF140212a_EN.pdf . Swiss patent office awarded a new patent on a method of covering surfaces with functional monolayers of nanoparticle structures. The inventor from our Institute, dr Jan Paczesny, Krzysztof Sozański, dr Andrzej Żywociński and Witold Adamkiewicz collaborated on this project with the Institute of High Pressure PAS. 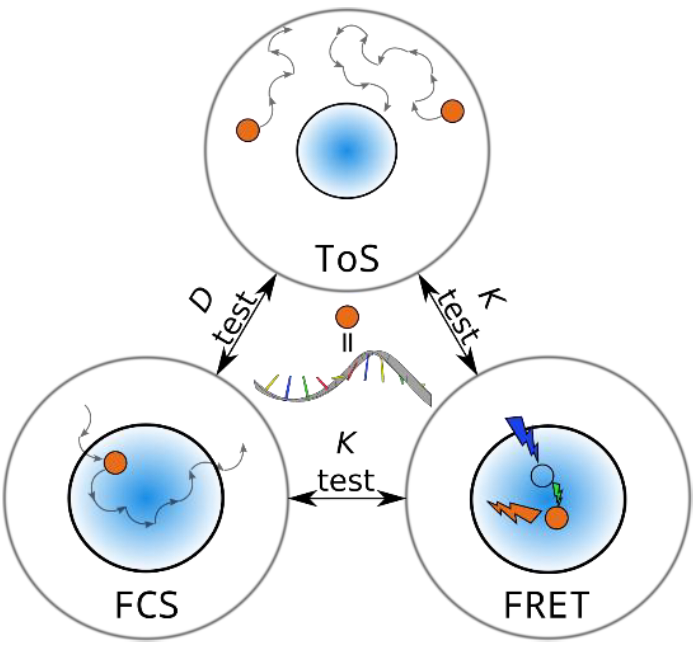 An interesting paper from our group on application of FCS to analysis of DNA assays was just published in Biosensors and Bioelectronics (IF 6.41). The lead author is dr Sen Hou. You can find it at http://www.sciencedirect.com/science/article/pii/S095656631300482X. Dr Sen Hou was awarded with a scholarship of the Ministry of Science for young researchers. Congratulations! 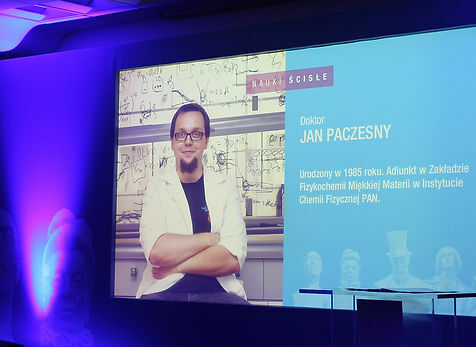 Dr Jan Paczesny was awarded a scientist of the year 2013 prize by the influential magazine “Polityka”. Well done! A paper on determination of DNA labelling efficiency by Sen Hou, Lili Sun, Stefan Wieczorek, Tomasz Kalwarczyk, Tomasz Kamiński and RoberHołyst just appeared in Biosensor and Bioelectronics (IF>5). Interesting results on nano-windmills rotating on the water surface were just published in Nanoscale (IF>6). Congratulations to the authors: PatrycjaNiton, Andrzej Zywocinski, Marcin Fiałkowski and Robert Hołyst. (http://pubs.rsc.org/en/content/articlelanding/2013/NR/C3NR03496H#!divAbstract) Make sure to take a look at the related press release at http://www.eurekalert.org/pub_releases/2013-08/iopc-mmp082813.php . The laureates of the National Science Centre grant were announced and again we have some reasons to celebrate! Robert Hołyst will lead the OPUS grant (>900.000 PLN), while Sen Hou and Jan Paczesnyare starting SONATA projects (nearly 500.000 PLN each). The application by Sen Hou was rated first in the relevant topic panel. Congratulations, and good luck with the projects! The Ministry of Science announced the results of Iuventus Plus grant competition. Tomasz Kalwarczyk and Jan Paczesny both received financing for their projects! An MSc student from our team, Krzysztof Sozański, won a European Young Chemists’ Network Award for the best talk during the 15th Spring Symposium of JungChemikerForum GDCh in Berlin. Keep it up! Tomasz Kalwarczyk received a START scholarship for young scientists, granted by the Ministry of Science. Congratulations! Krzysztof Sozański got a Diamond Grant from the Ministry of Science. It is the first edition of this grant contest for undergraduate students. The awarded project concerns macro- and nanoscaled viscosity of complex liquids. A project on length-scale-dependent viscosity in living matter was awarded financing (nearly 3.000.000PLN) by the National Science Centre within the MAESTRO program. 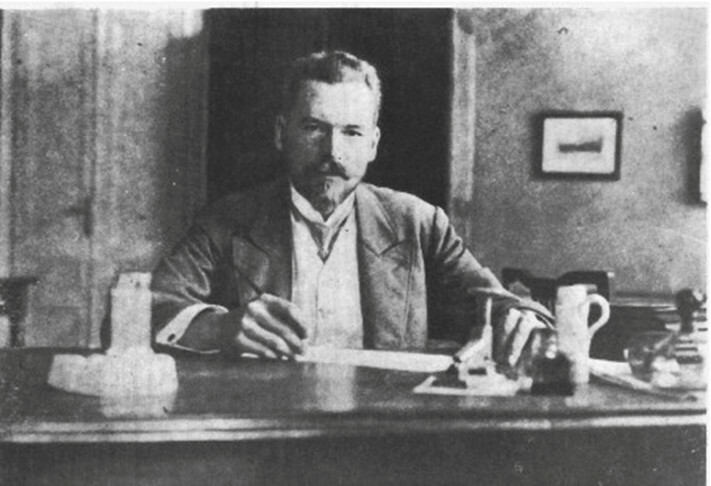 The project will be led by Robert Hołyst.